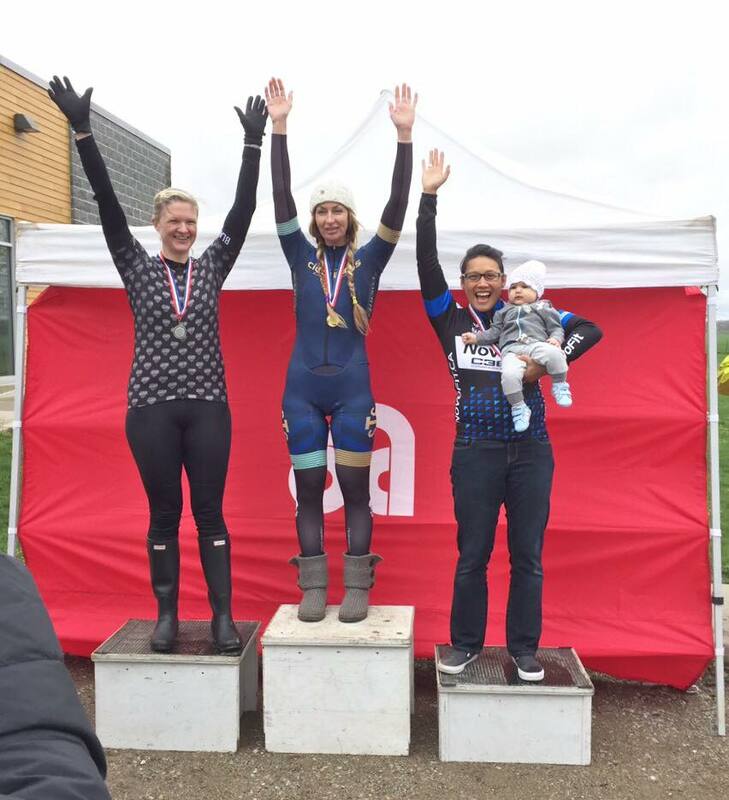 Another win for Leslie in Cambridge! 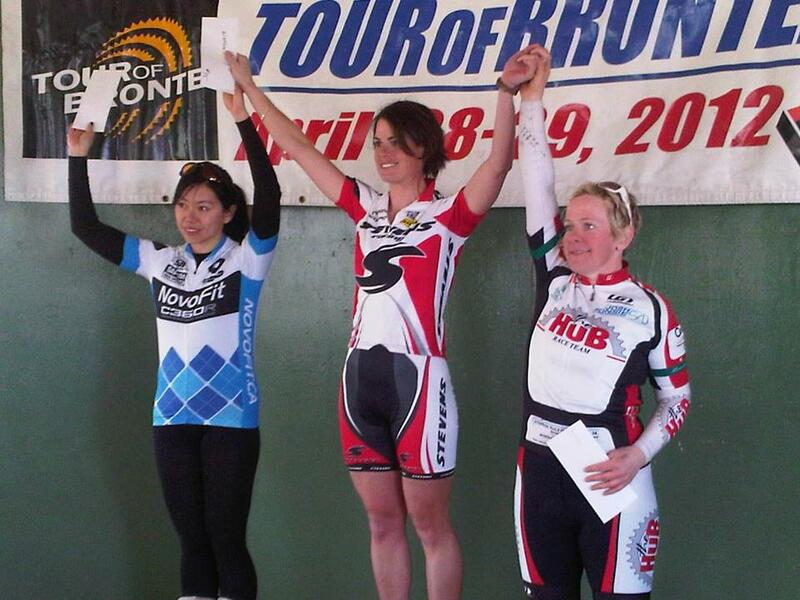 ​Mary gets 2nd at the Dundalk ITT! 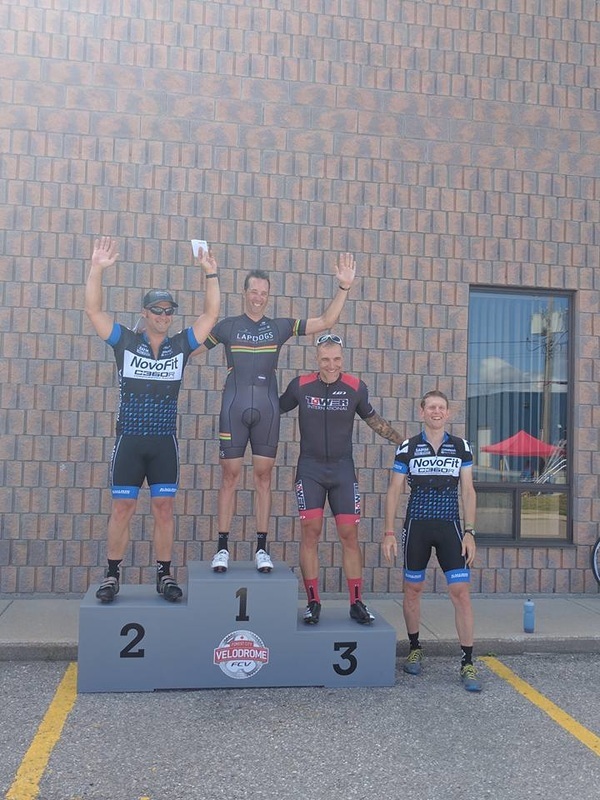 ​Leslie continues to dominate with yet another win at the Steve Bauer Classic! ​Yup you guessed. Leslie streaks to another win! 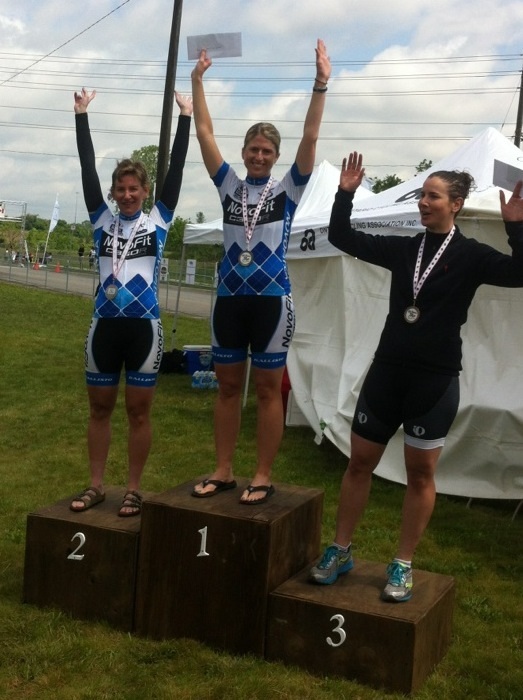 ​Mary gets on the podium with bronze at her first TT of the year! 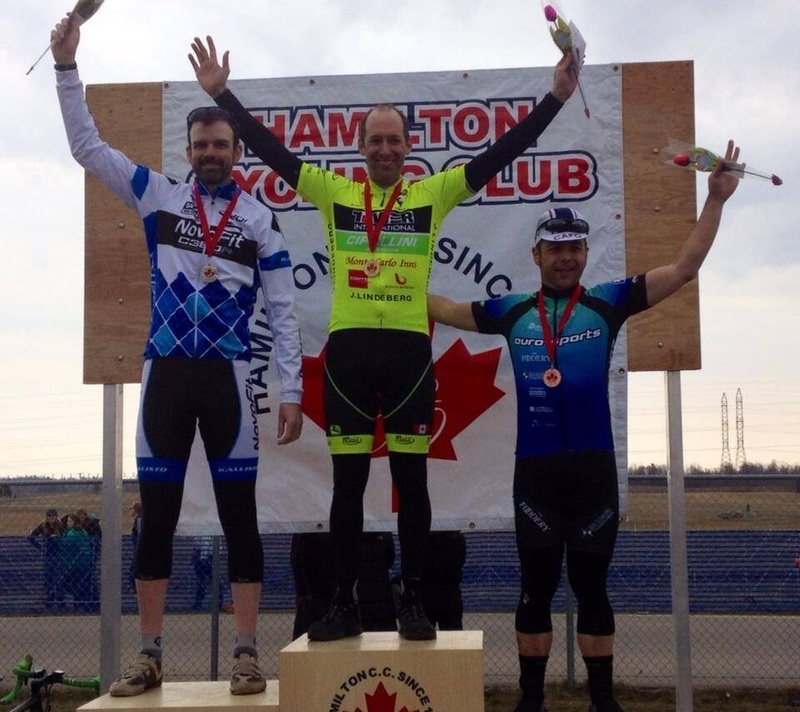 ​Leslie is on fire with a hard fought podium at Springbank. 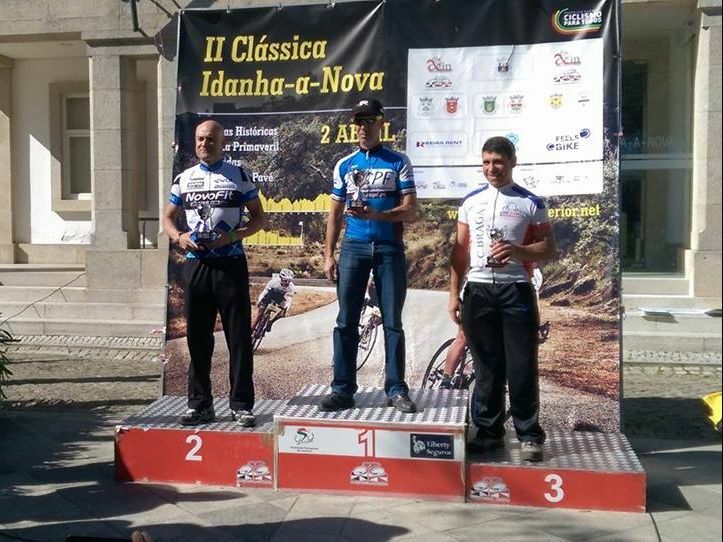 Phil gets the first podium of the year while in Portugal! 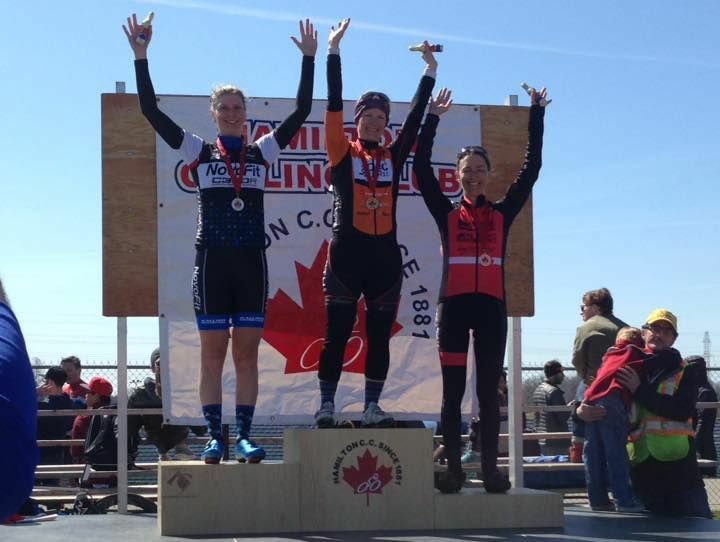 Leslie podiums with silver at the first O-cup of the year. The Roster has been finalised! 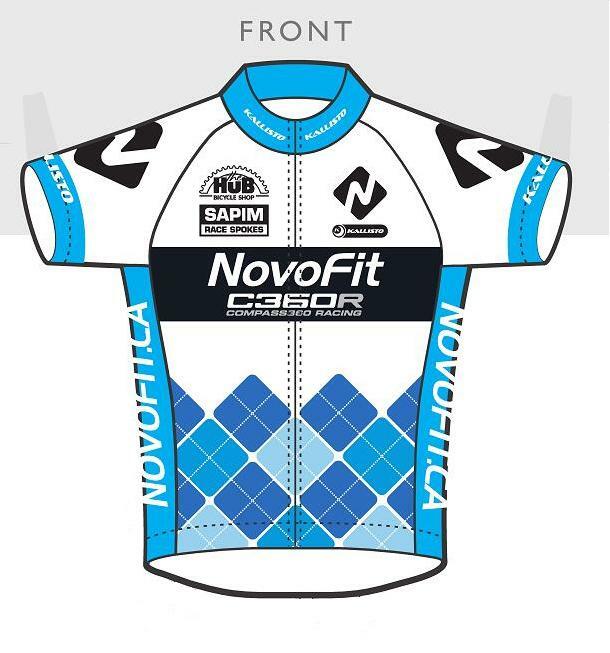 New racers will be flying the NovoFit flag this year, along side with some of our dedicated veteran brothers and sisters. Big changes for our race team are coming this year as we continue to grow! New sponsors, new kit, new racers, new budgets and big plans! 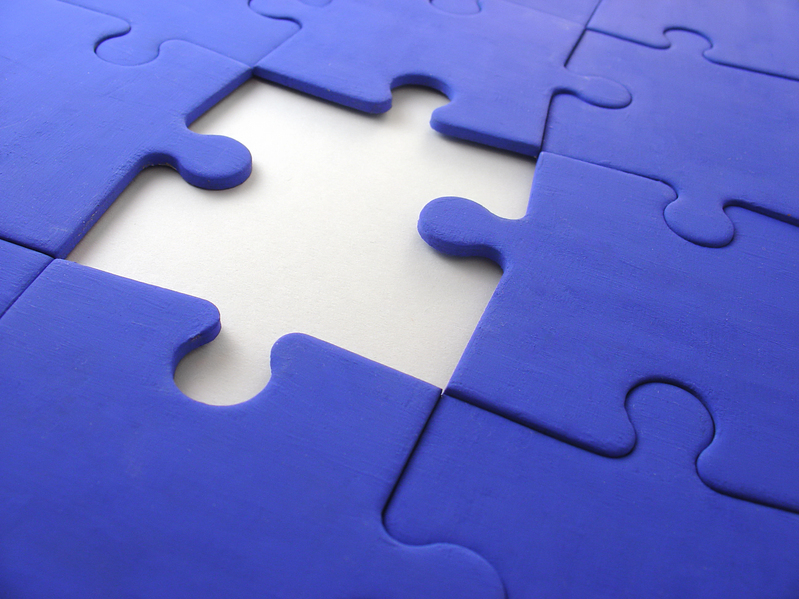 This expansion will help up greatly, as we participate on a wider range of venues. 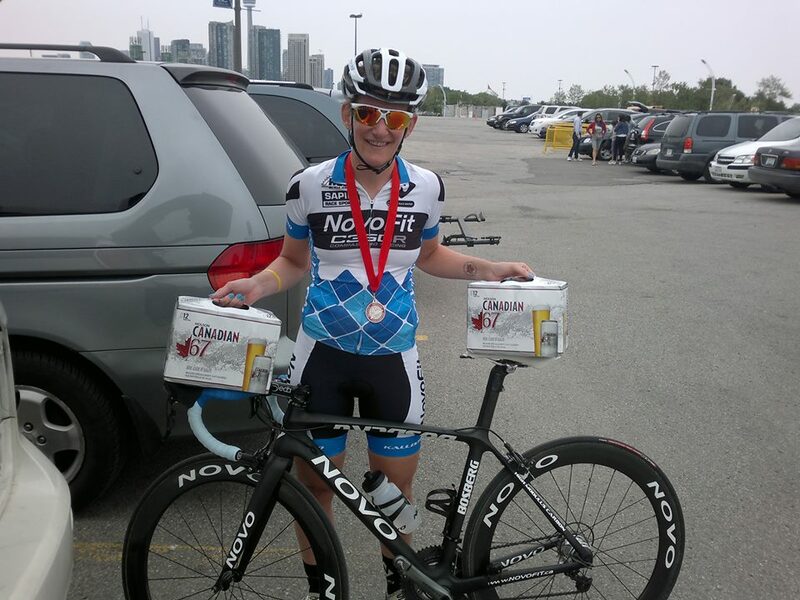 Expect to see more NovoFit riders in events in Canada, the USA, both on and off road! Without their help, we would not be where we are today, and to them a very big thank you! A big thank you to all who helped in making this adventure a great one this year. We wish you all a great holiday and look forward seeing everyone again in 2017. 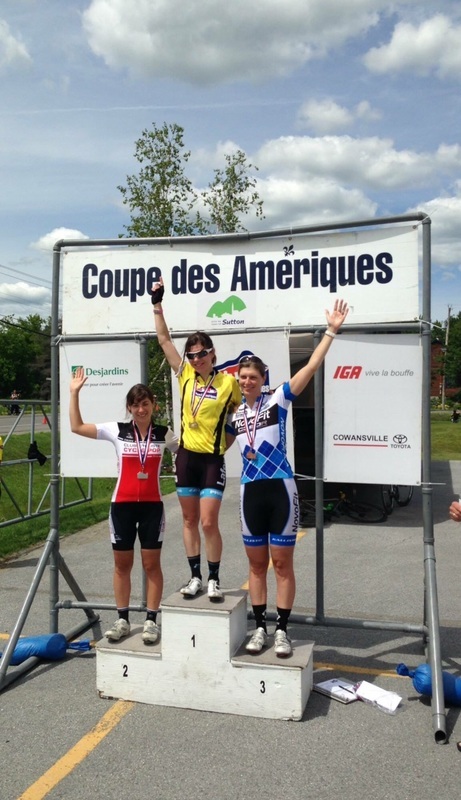 Leslie is our Provincial Road Champion! A well deserved victory for a dedicated athlete. 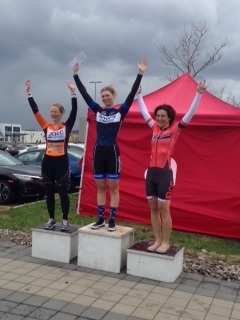 Leslie gets 3rd in a hard fought race. 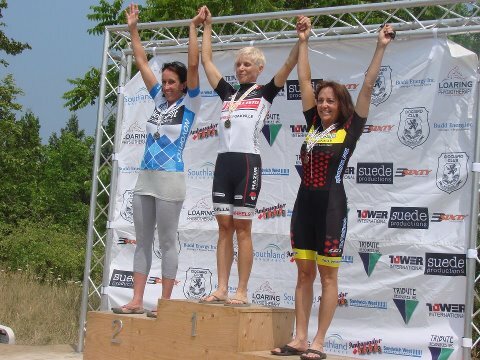 ​The hits just keep on coming with Leslie as she scores Silver in London as she begins her prep to peak for Provincials. Rob worked very hard to keep Matt in the break securing 2nd place and still had enough gas to out sprint the group for 4th! 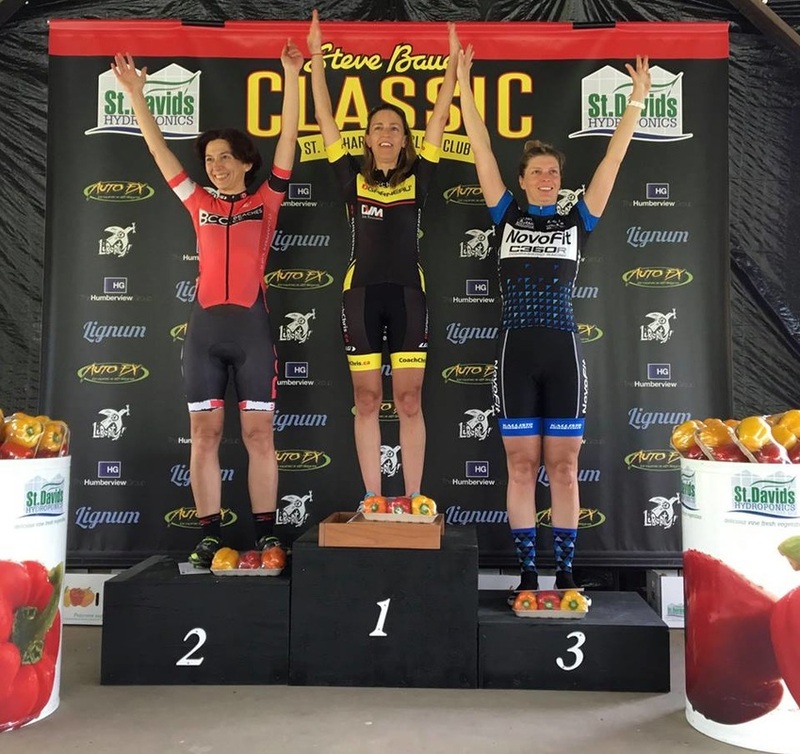 ​Leslie continues her podium streak with another 3rd at the SB Classic. 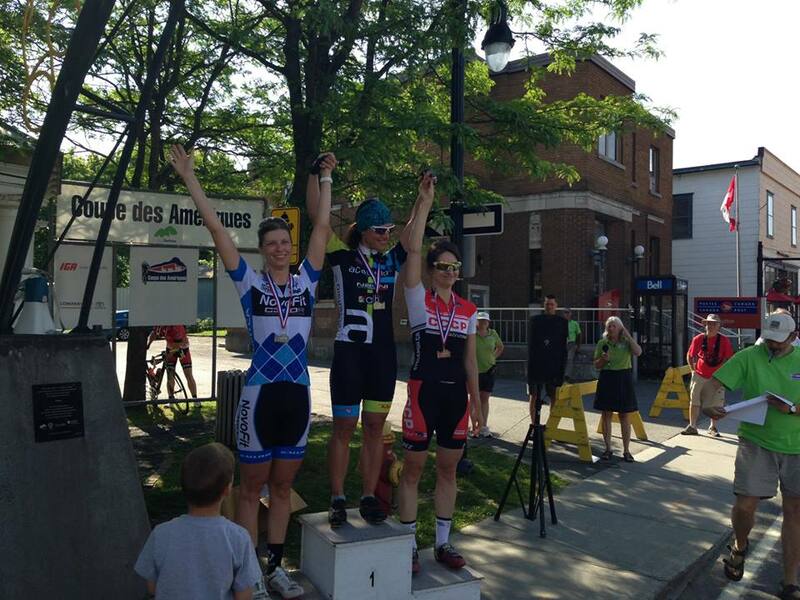 ​Gold for Leslie at the Honda Crit proves she sprints as well as she climbs! 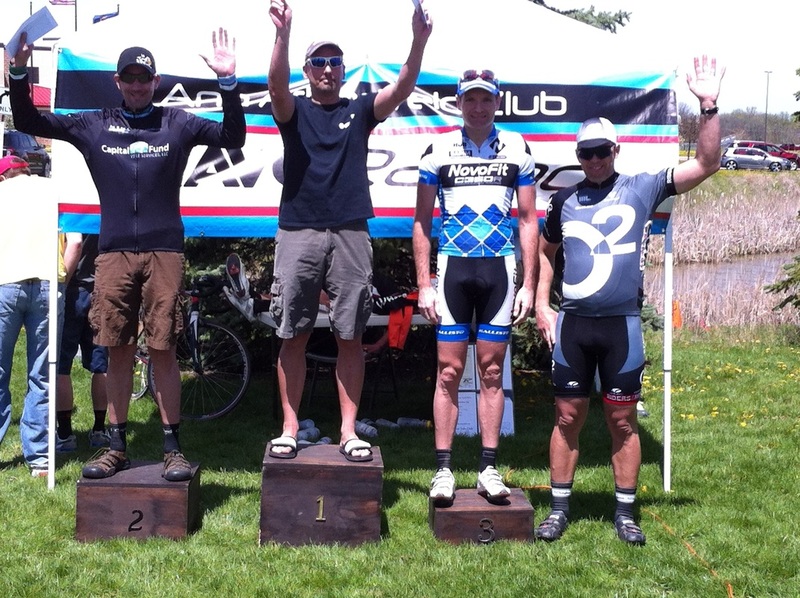 ​Matt gets his first podium of the year with a solid 3rd place a gnarly sprint finish! 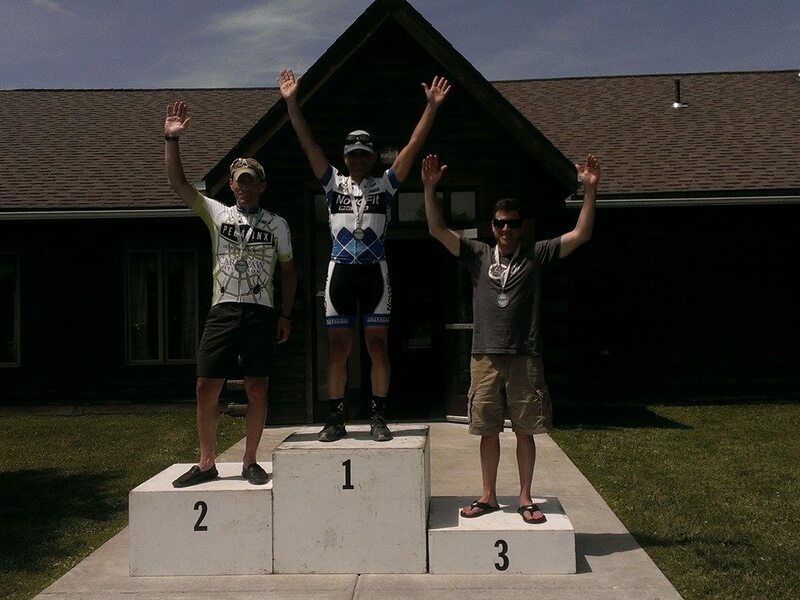 ​Dereck sneaks in another podium sprinting into 2nd. 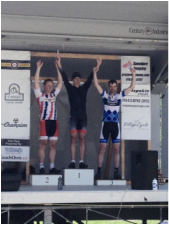 Dereck picks up the 1st podium of the year for the squad in a hard fought bunch sprint. Phil patrolled the front and covered all of the break attempts in hopes of keep Dereck fresh for the final sprint. Next stop, Springbank! 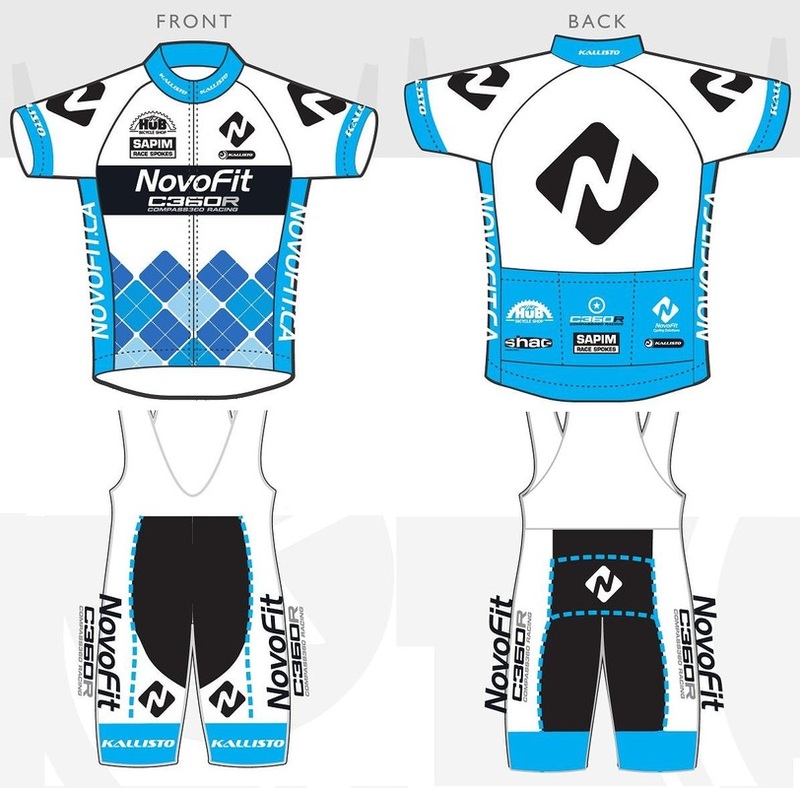 NovoFit is pleased to present the all new 2016 kit! We are retiring the argyle and going with a fresh new look. See you all out there! A very huge thank you to all of our sponsors who have helped us on our journey. Without them, this would not be possible! 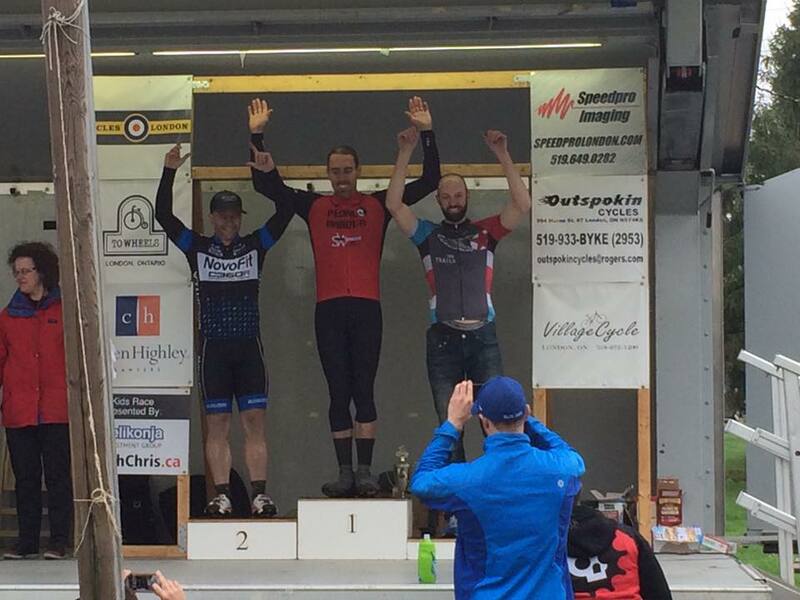 Shane and Mike make the break on a super rainy day and podium for 2nd and 3rd. Flahute! 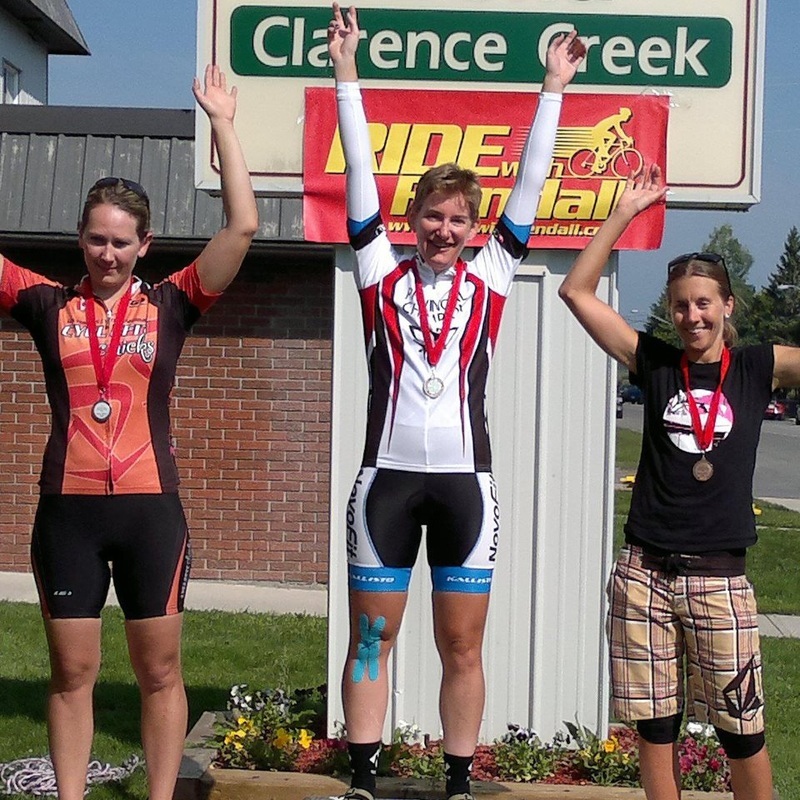 Leslie takes 3rd in GC and a stage win in Sutton at CdA! 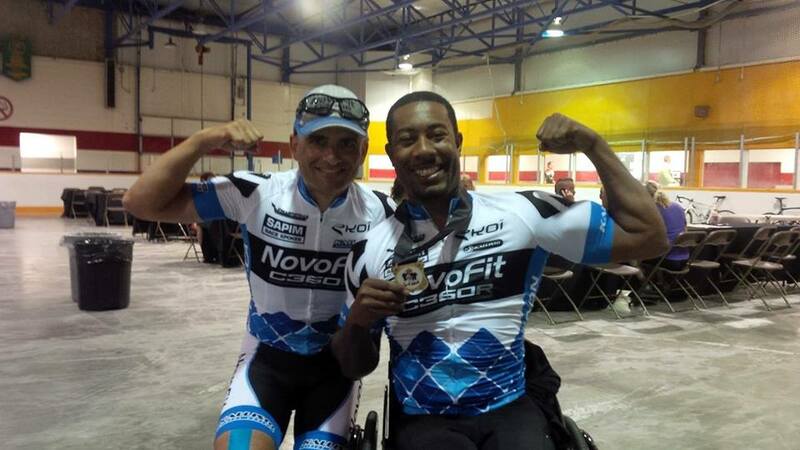 Anthony Lue gets 3rd place in the handbike category. He will also represent Team Ontario at Nationals. Good Luck! Anthony with his new wheels. Proud and motivated. Vance gets 2nd at KW in the early event. 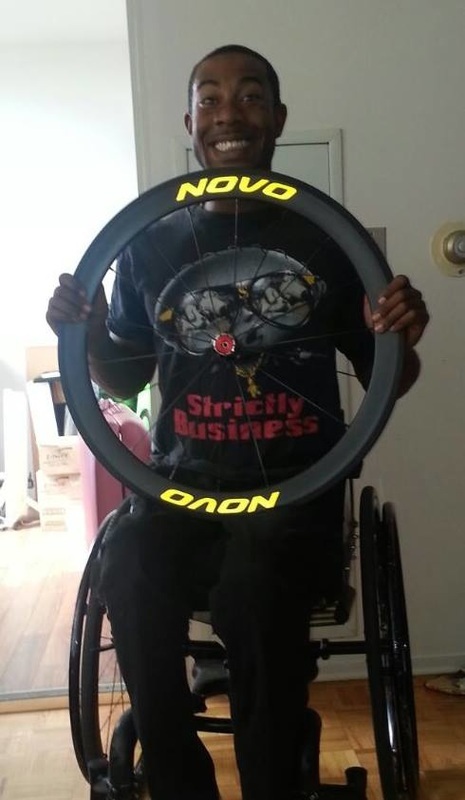 Mike Novo ventured out of his comfort zone recently when he was asked if he would consider a new project for a handcyclist. Retired Canadian Olympic coach Mirek Mazur contacted Mike letting him know he was coaching a hand cyclist with a lot of potential. Mike replied, "I've always wanted to try this and was super excited when I was approached, but I had no clue where to start!" 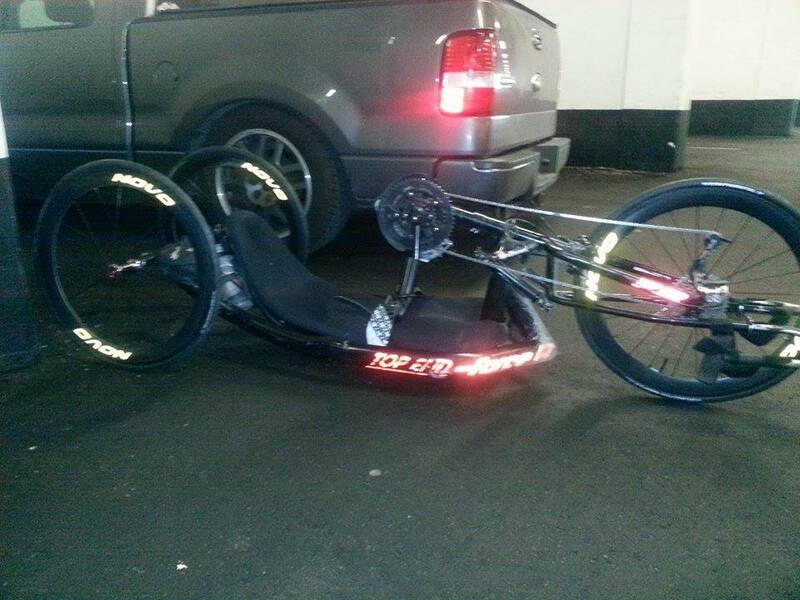 After many emails, some research, trial and error and feedback, he constructed the first set of wheels to be tested." His thoughts on the project was towards his new client, "Thank you Anthony, for taking me on this journey. Good Luck!" 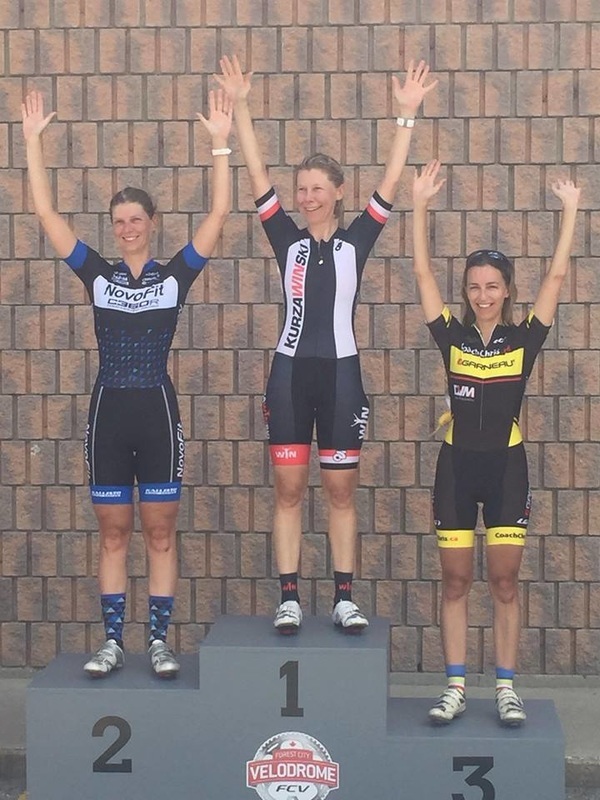 Mary gets 3rd at the KW Classic in her first year as a licensed racer. Congrats! 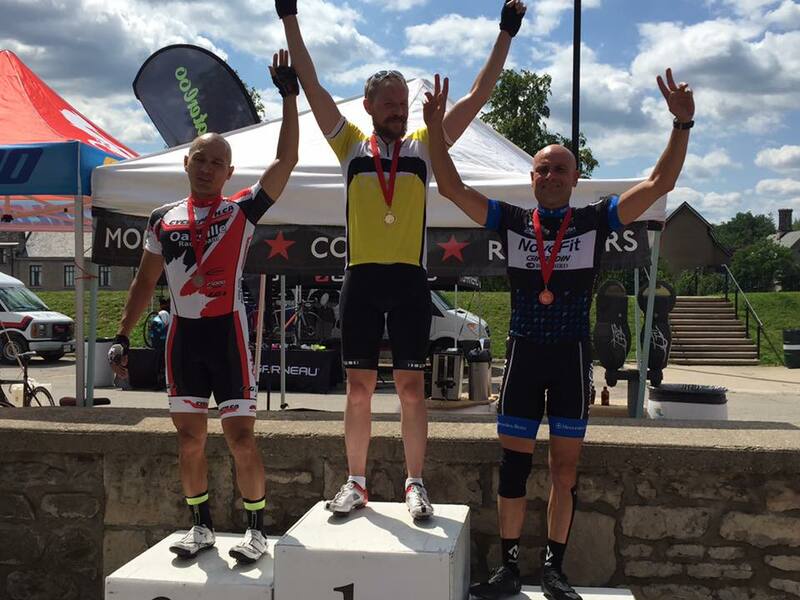 Mike gets first at Hamburg! 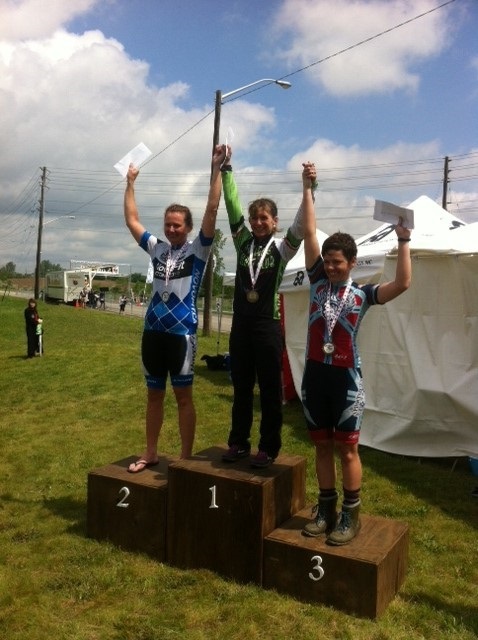 Charlie Phillbrook gets 3rd at Crashbank! 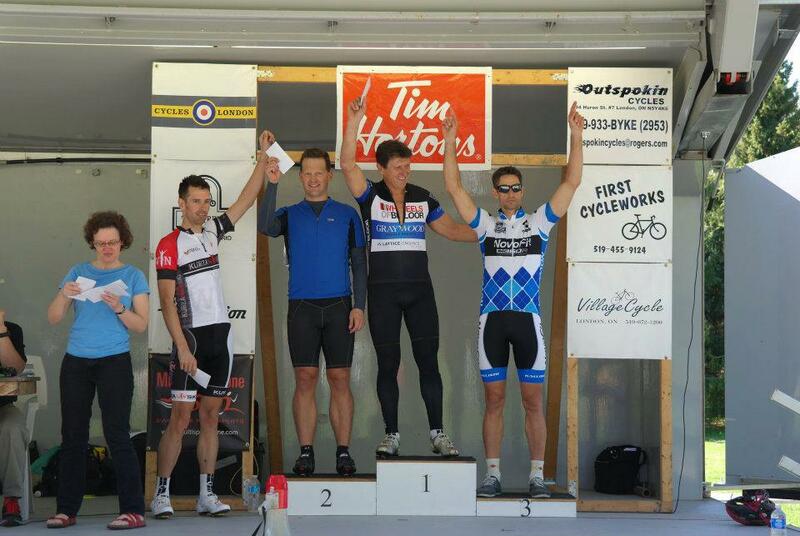 Newcomer Vance Lai narrowly missed the podium with a 4th place in the final sprint. Stealth Police Interceptor logos are here! Maintain an all black prototype look until a camera flash or headlights at night light them up! 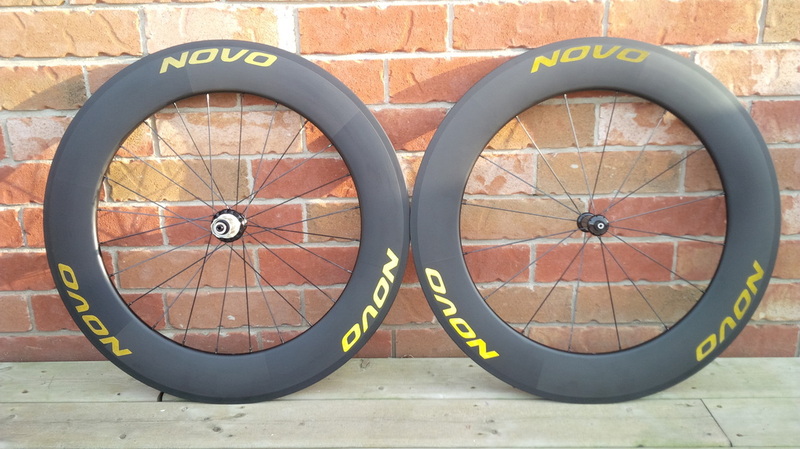 Novo wheels get a facelift in 2015. 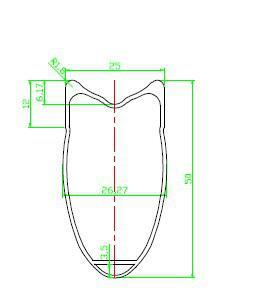 We will now be sporting a new "toroidal" rim design in 2015. The same great aero quality of our previous rims with the added stability in crosswinds! "If Batman had a bike this would be it!" 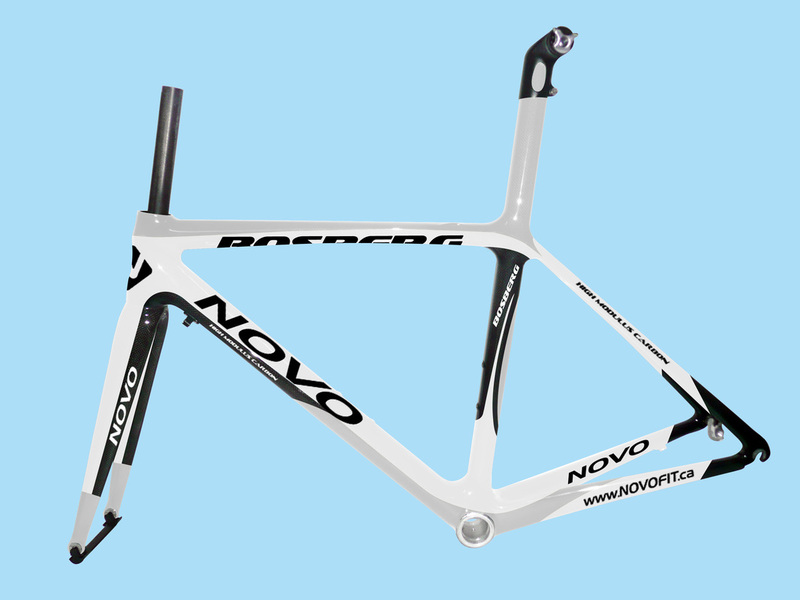 The new frameset is now more aerodynamic and stiffer. More info to come. Stay tuned! "We can rebuild it. 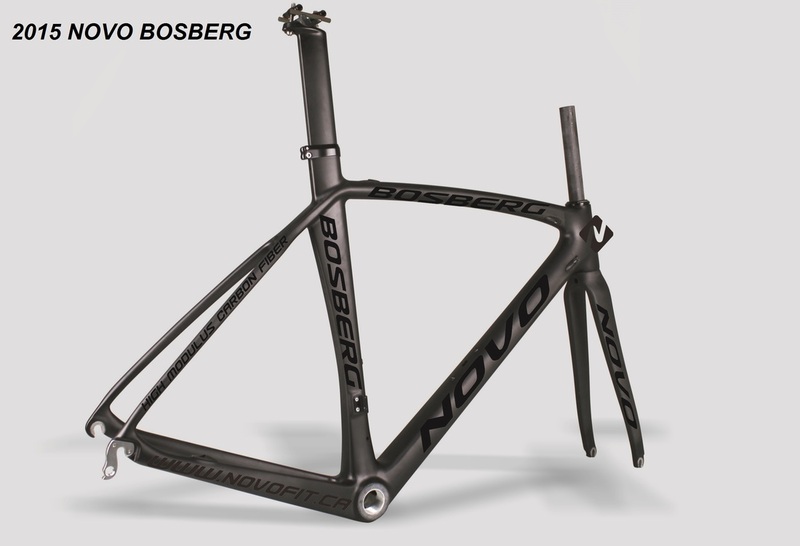 Faster, Stronger" In 2015, the all new Novo Bosberg will be a thing of beauty. 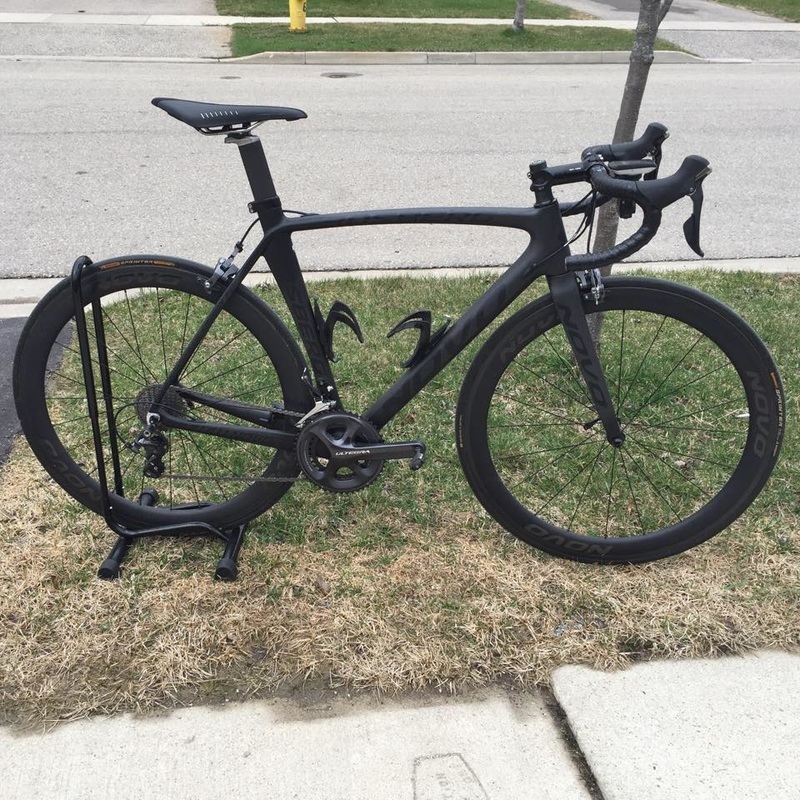 Taking on a semi aero approach, it will be stiffer, faster and more responsive. Don't believe ask? Ask some of the members on our squad! They all say the same thing. "WOW!" Reserve one for your next order asap. Limited supply for the black on black scheme will be available this year. 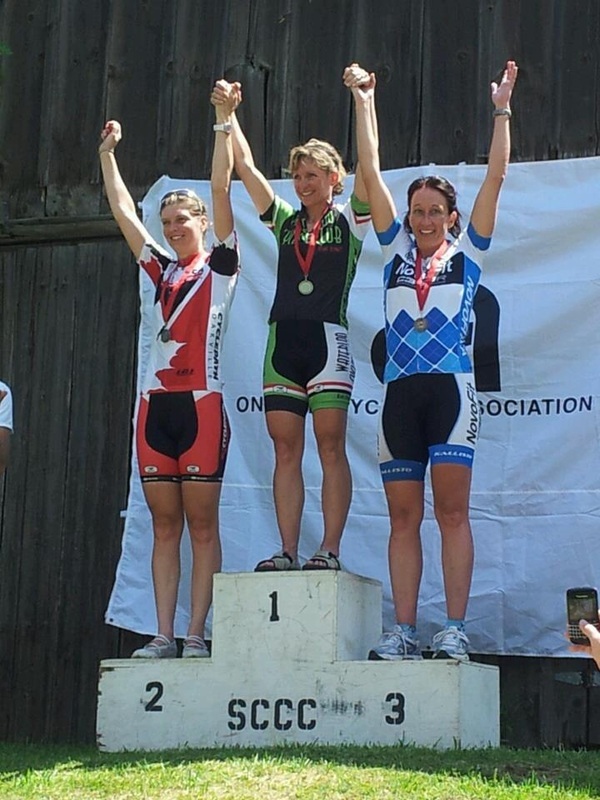 Shelly podiums with a silver medal at the Provincial TT Championships! One last ride before to end the Road Season. 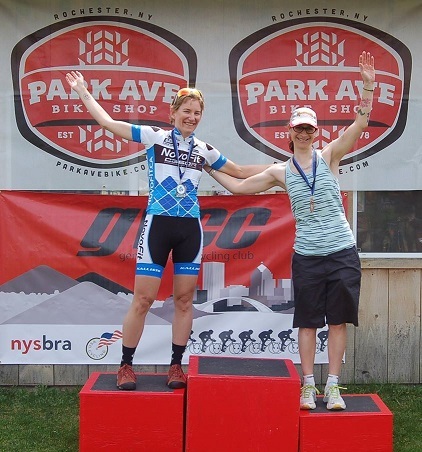 Bring on the Cyclocross! 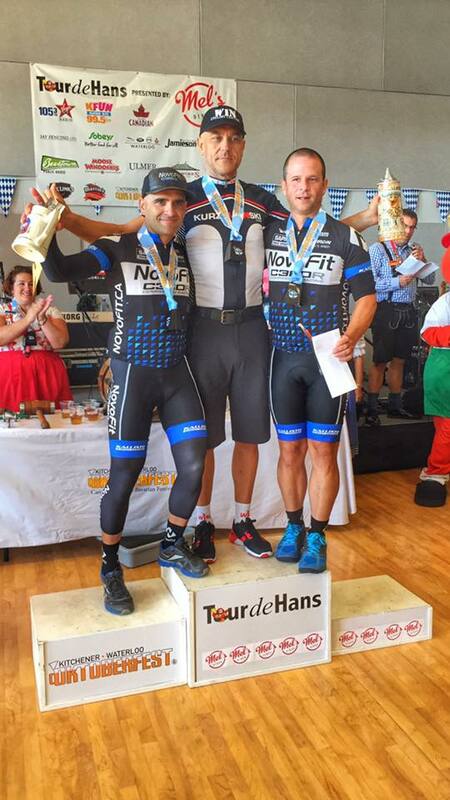 Team NovoFit-Compass360Racing gets 3rd at the Tour de Waterloo in the 133k event this year. They promptly got together for their annual BBQ and celebrated and epic day. Congrats to all on the squad for flying the flag! Shelly gets the wild card to compete at Worlds! 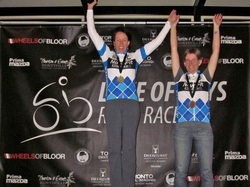 The ladies headed off to Sutton in search of the podium, and they found it! 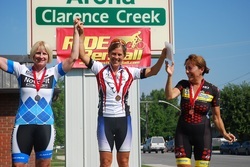 Shelly placed 3rd in the in the TT. 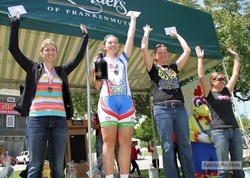 Leslie was 2nd in the road race. 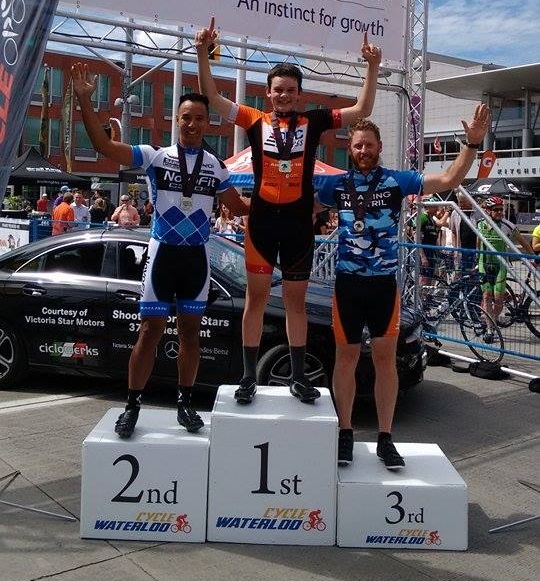 JJ Woodley places 3 in a hard fought sprint in London. Phil manages a close 4th. 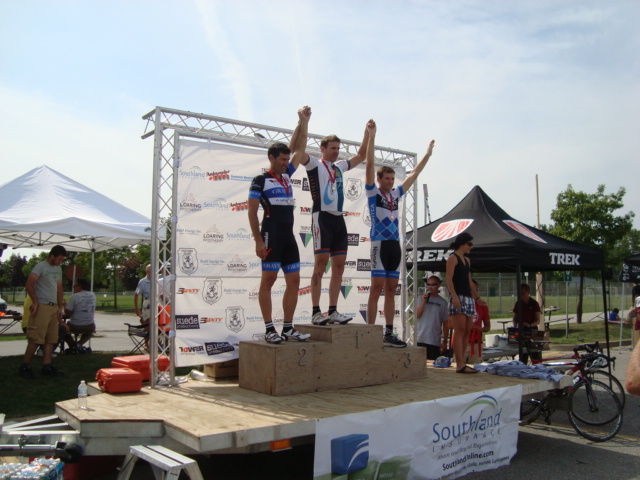 Charlie Philbrook podiums for a second time. Rob made it easier for him with a stellar lead out! 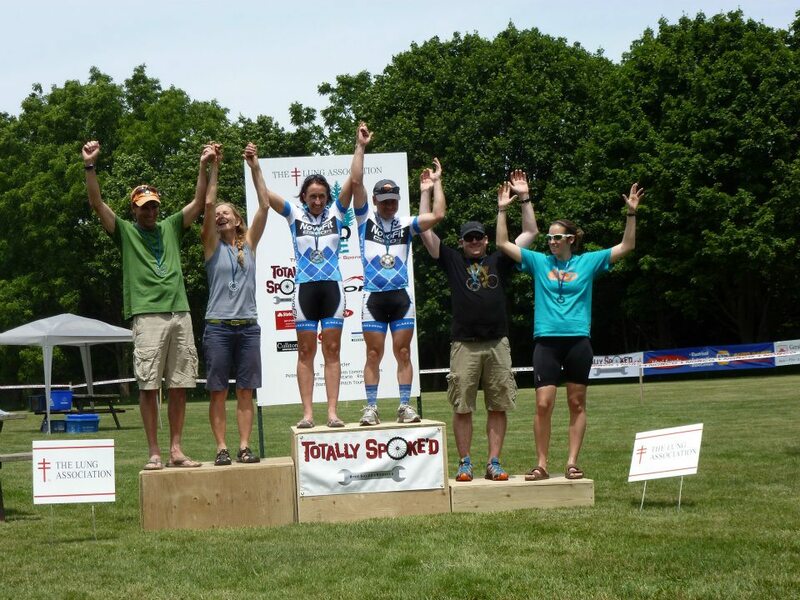 Shelly almost podium in the Elite Women's field with a 4th place! 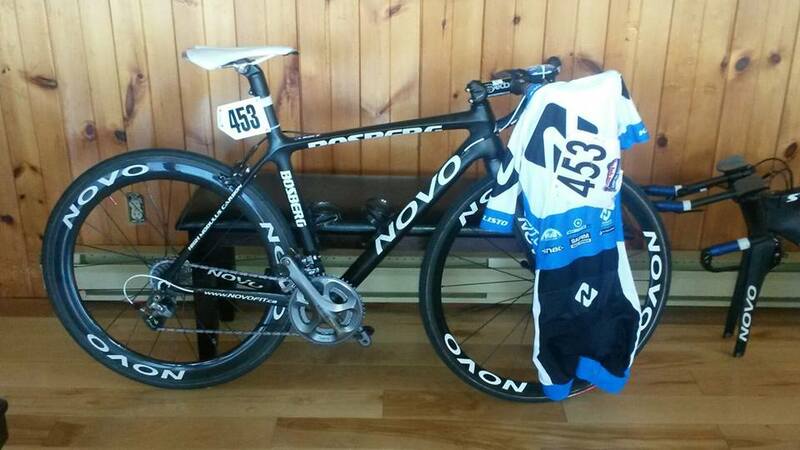 The 2014 kit is now ready! "Peter Mazur from Kallisto provided such great service and quality in 2012, we can't help but continue again this year", Mike Novo advised. He added, "Many athletes on the team can't say enough about how comfortable the fit and design is. 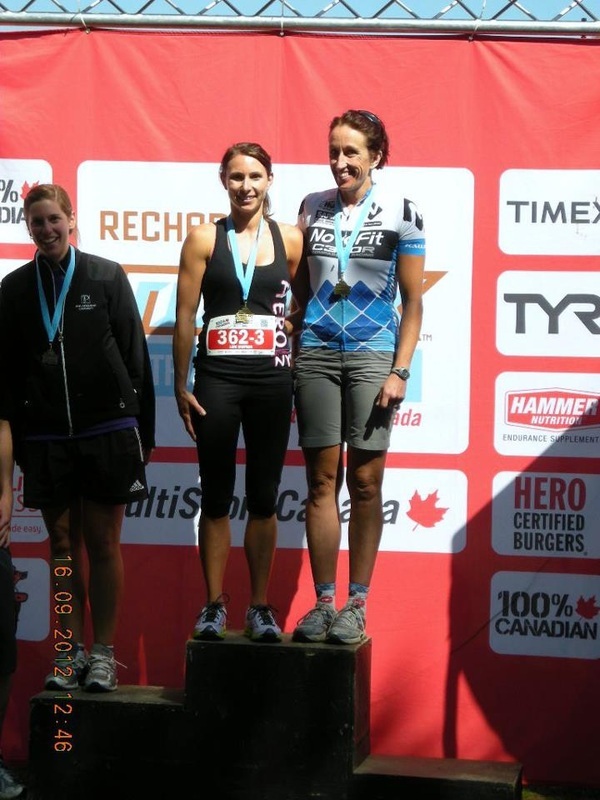 Kallisto provides us with an amazing product line for a full range of clothing to race with in all environments." 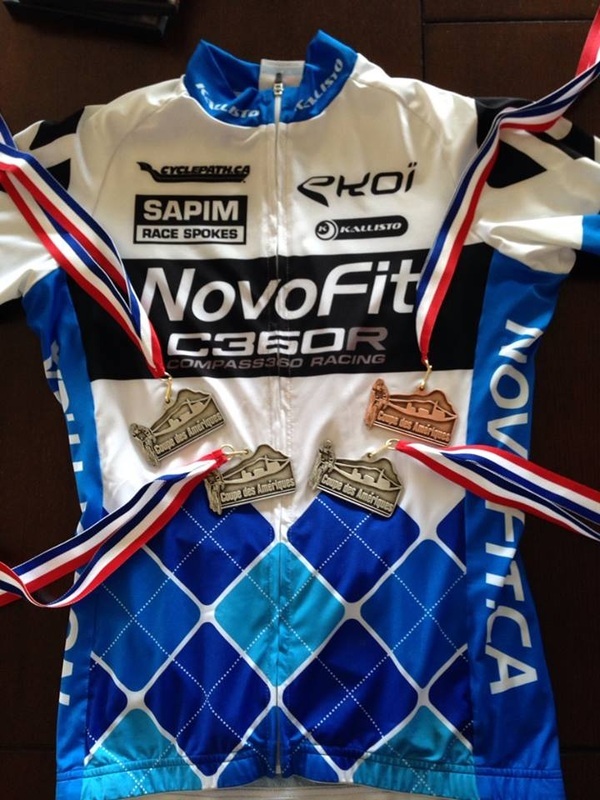 NovoFit would like to thank everyone who aided in the successes of the team this year. It was an amazing year for us! 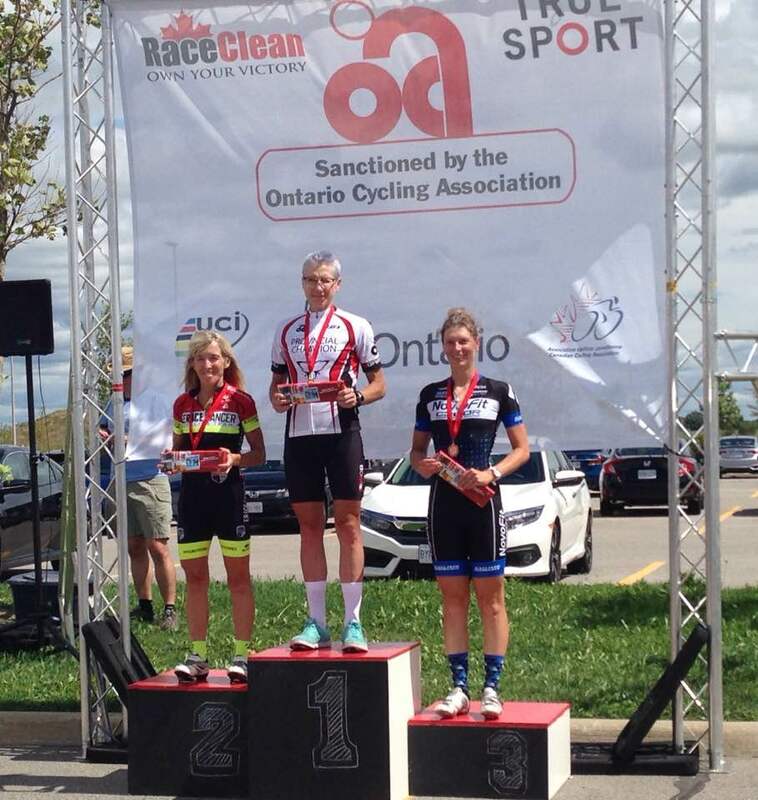 With 27 podiums this year out team placed 3rd in Ontario. We would like to thank ours sponsors, volunteers, families and team members for our wonderful journey together. Here's to a great year and many more to come. Congrats to Shelly McKee and Fred Perez on their achievements this year. 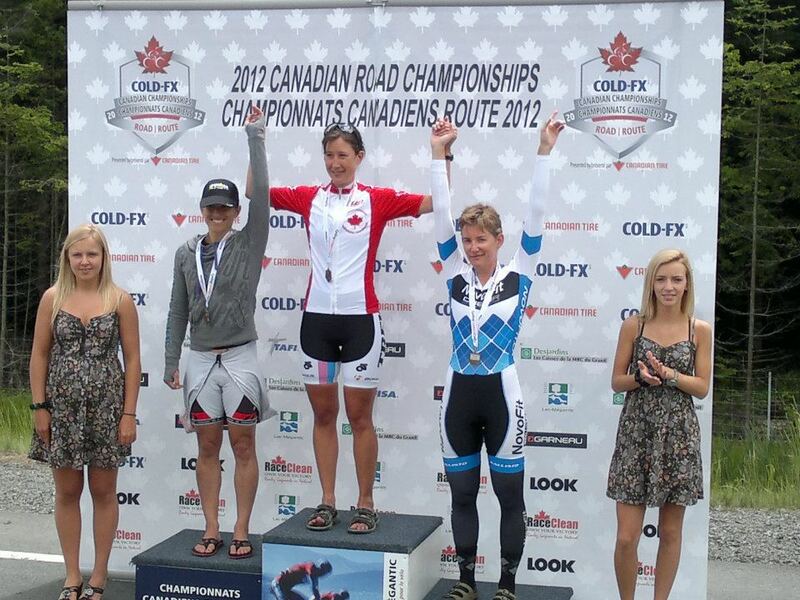 Danielle is the new road champ! 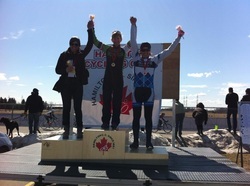 Shelly also podiums for 3rd. Shelly rocks with another podium for the squad! Don and Sandra take the win in the off road Wild Ride. Shelly Medals silver! The beer is a nice bonus too! 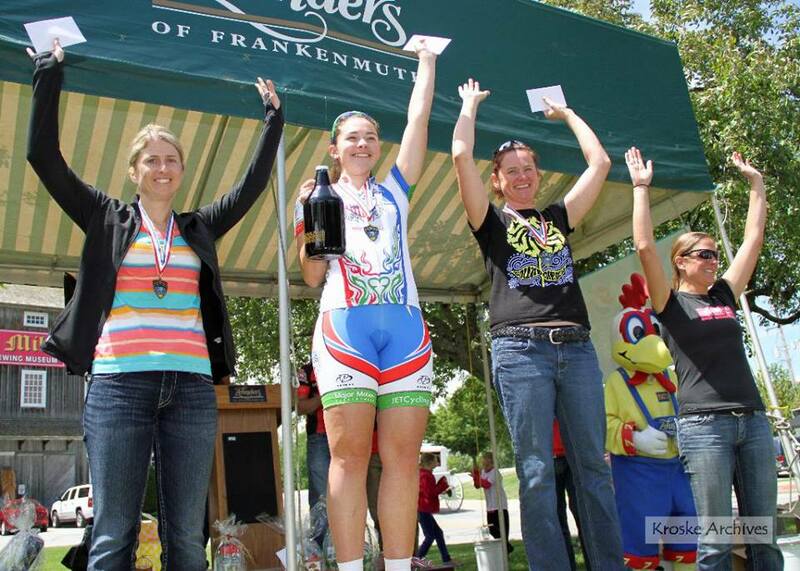 Much to their surprise, Brenda and Danielle rock the podium at Frankenmuth! The ladies squad loves wearing the team blue from head to toe! 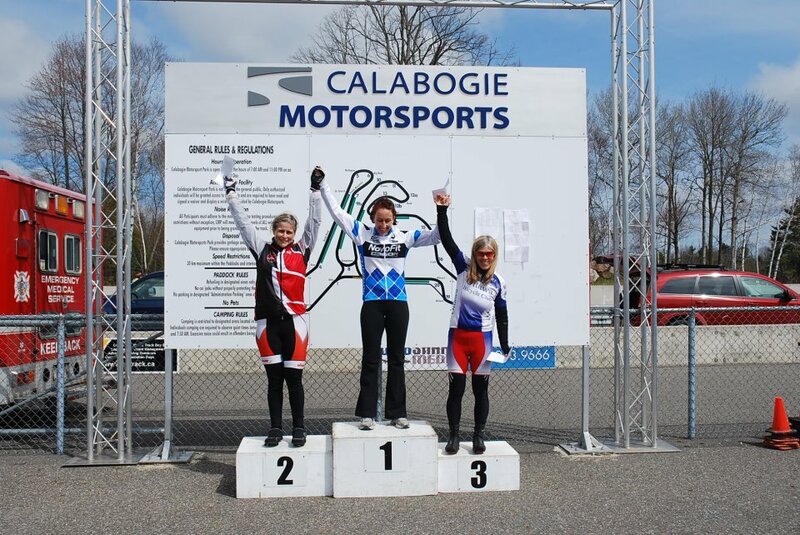 Cold, rain, sleet, snow and buffeting winds made the podium very difficult to reach. 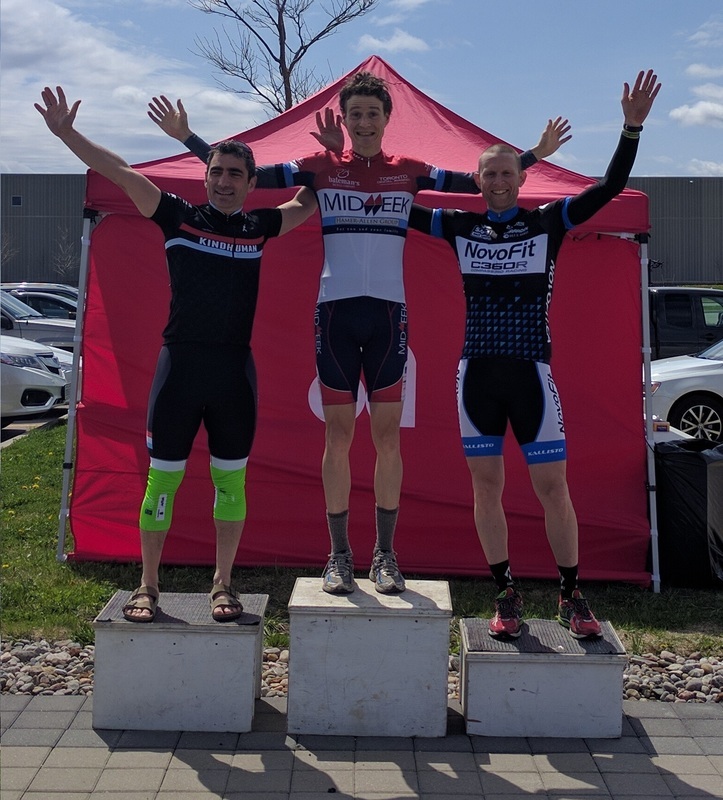 Epic conditions for an epic multi podium. 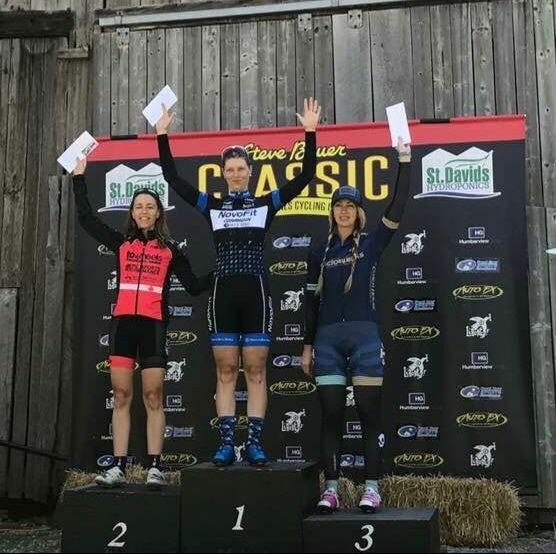 A complete turn of conditions from last week; Sandra adapted nicely to the heat and humidity, powering her way up the Effingham climbs and finally the sprint for the win. 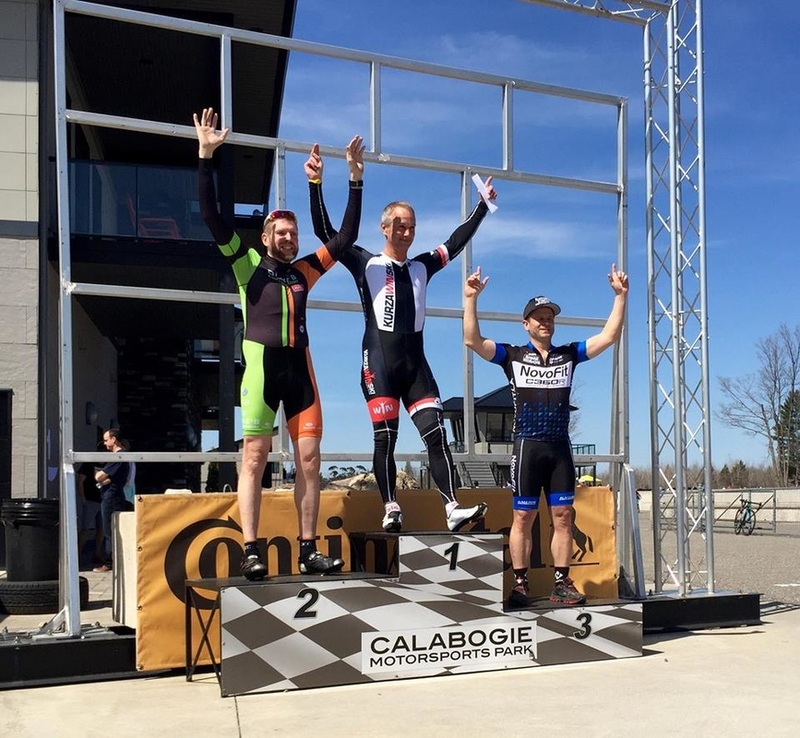 Congrats to Nick Dwyer on his podium at the Cone-Azalia race in Michigan. 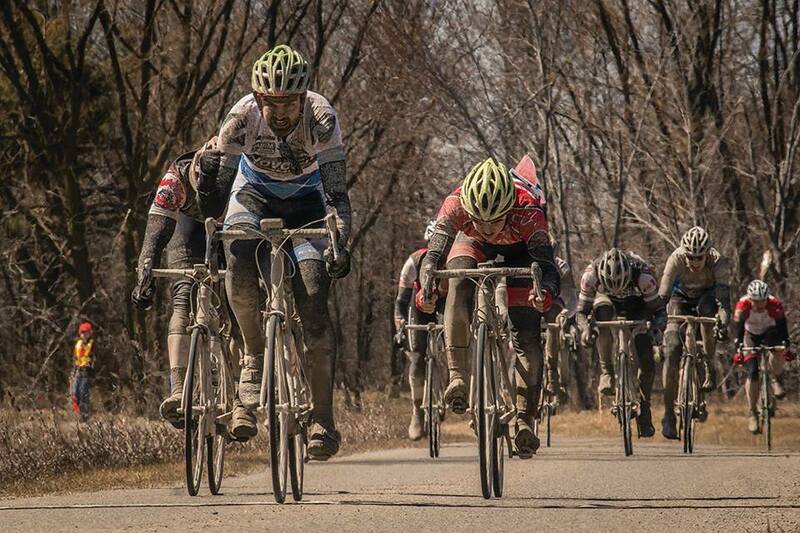 Cone-Azalia is Michigan's Roubaix style race with a pothole infested dirt road stretch known for claiming the lives of many a bike. Way to go Nick! 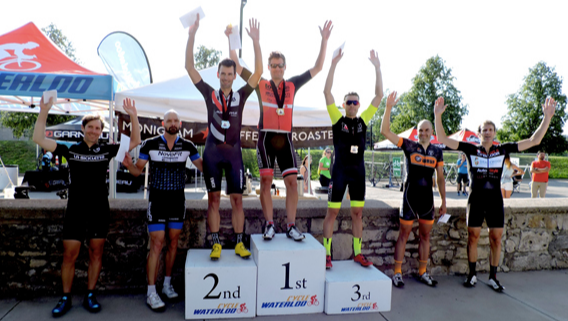 Fast Freddy gets 3rd braving the tortuous climb up Bristol mountain and then maxing out on the 90kph decent for the line. Sandra Deegan, Danielle Mckibbon and Shelly McKee flood the podium with a 1 2 3 punch! With strong communication, they were able to solidify complete dominance in the field. This squad is hot! 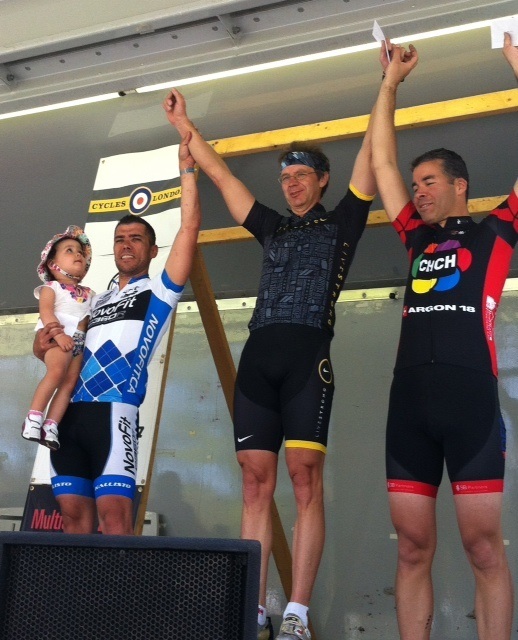 Just missing the top step, Fast Freddy Perez podiums again. Fred's squad worked hard shutting things down to help Fred set up for the sprint. 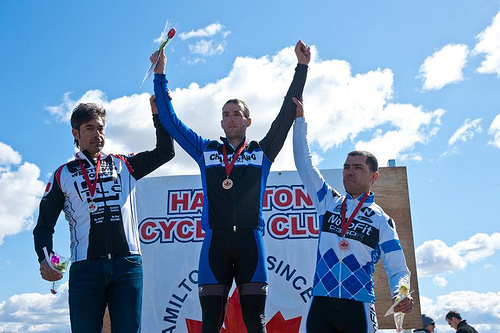 Fred Perez begins a great racing season by securing a hard fought 3rd place in M2. 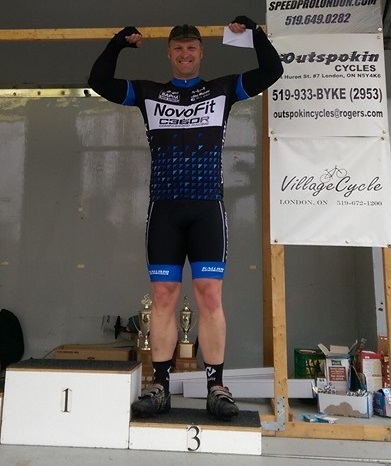 Fred told Mike Novo that if it were not for JJ's sacrifice with a courageous leadout, he would not have made it to the podium. "The last stretch was all JJ! ", as he grinned and applauded. "That guy is a freight train! I love it when we all work together for something bigger than just for ourselves." 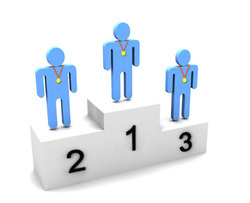 Mike Novo's mantra has always been, "When one of us wins, we all win!" 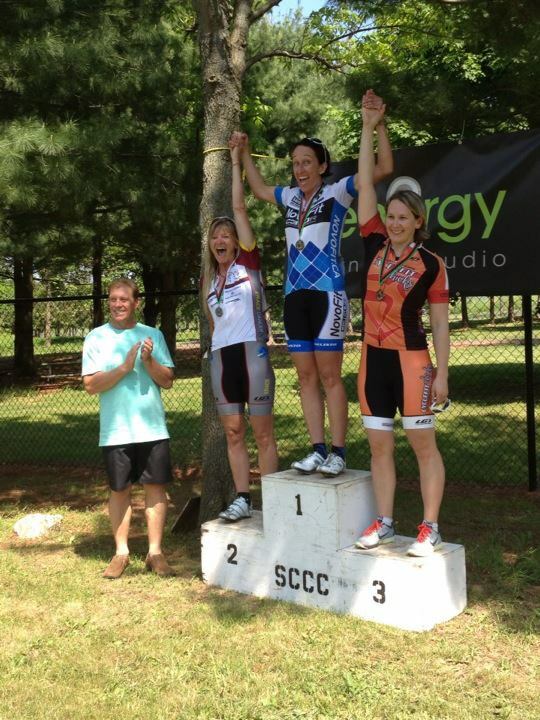 Sandra Deegan gets 3rd in Master B letting everyone know she is ready to battle early this year! 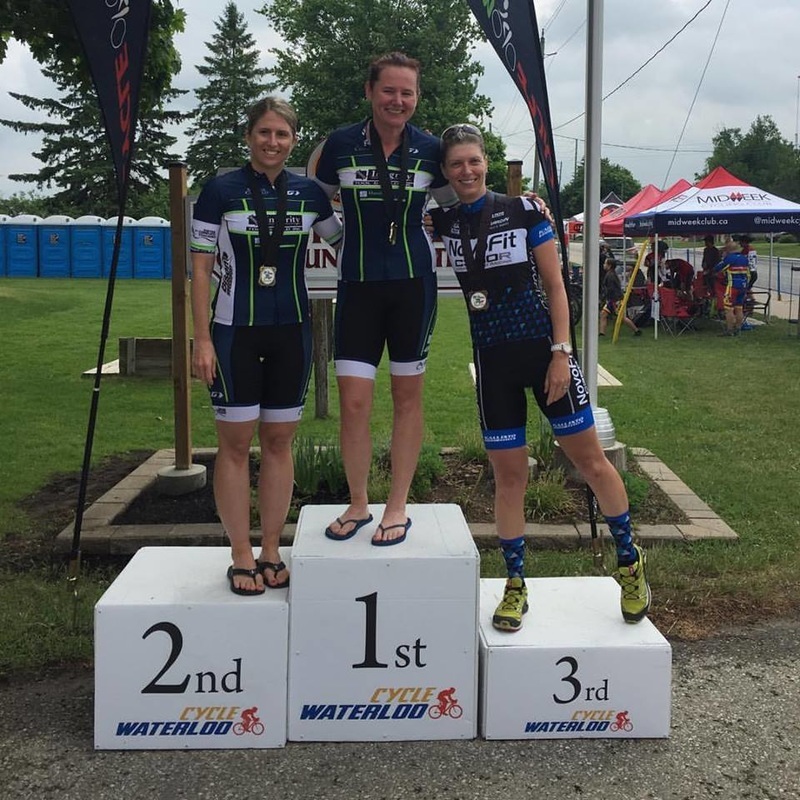 Shelly Mckee secures 2nd in the Master A category, a telling that she will have a great year this season with more podiums to come. The 2013 season is upon us! The season is finally here but it seems Winter does not want to leave. 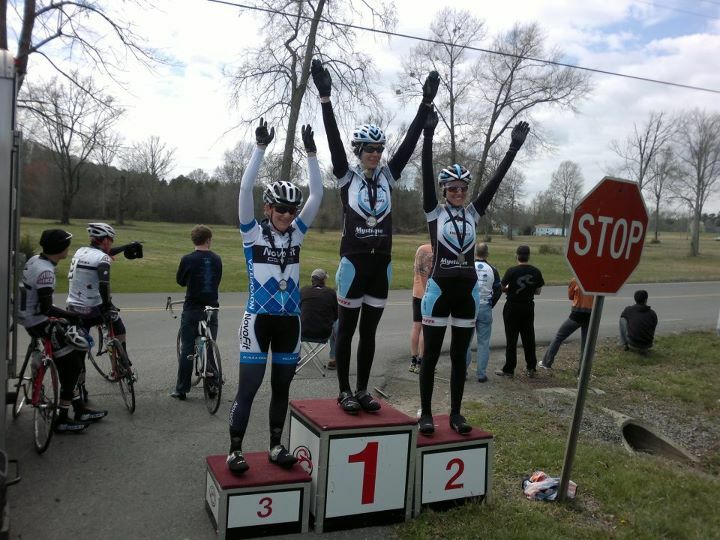 With a warming trend nearing, the squad is getting ready for another season of racing. See you out there soon! 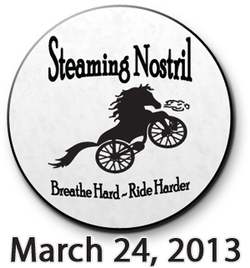 The Season kicks off with the Steaming Nostril this year. The route involved a paved, unpaved as well as a multitude of rail trail for additional torture. 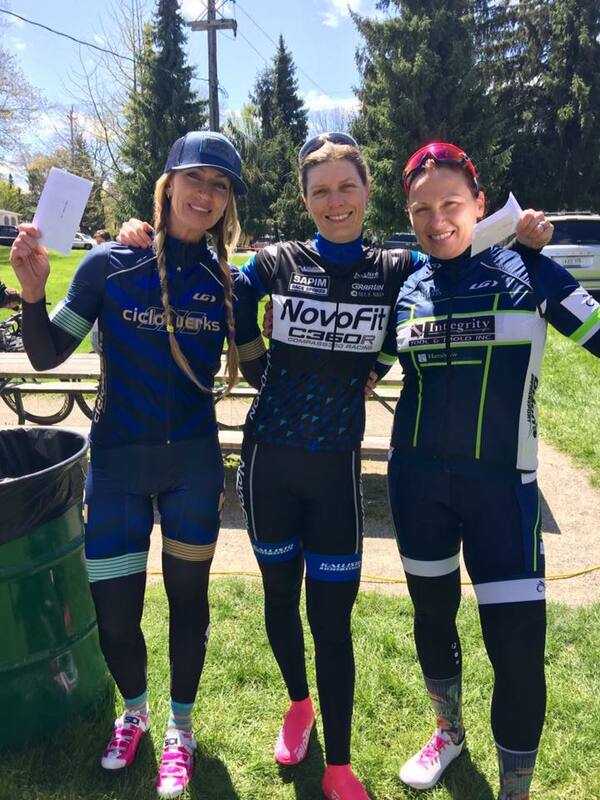 NovoFit's Sandra Deegan brought in the squad's first podium with a second in the Master's category and 3rd overall in the the Woman's division. 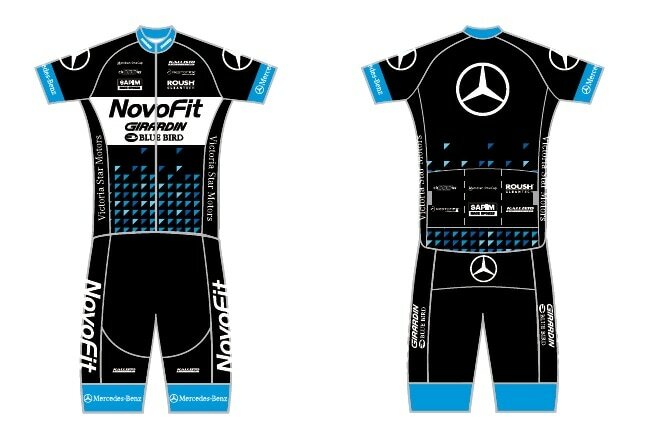 The 2013 kit has been approved. The 2012 livery was so well recieved, we've decided to continue with it in 2013. "Peter Mazur from Kallisto provided such great service and quality in 2012, we can't help but continue again this year", Mike Novo advised. He added, "Many athletes on the team can't say enough about how comfortable the fit and design is. 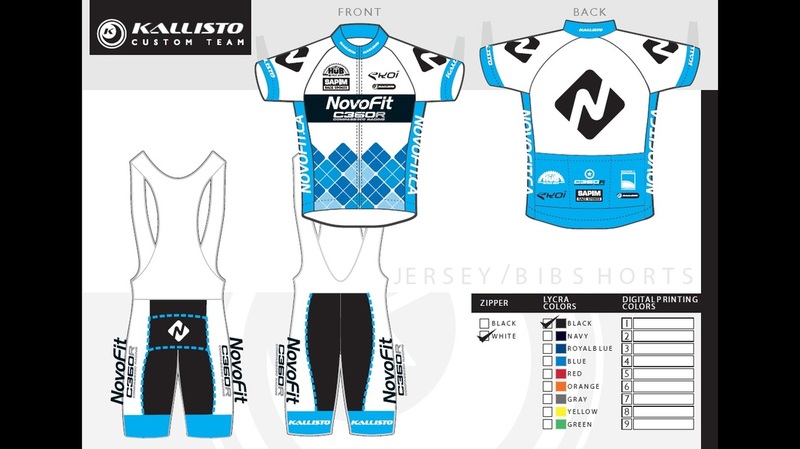 Kallisto provides us with an amazing product line for a full range of clothing to race with in all enviroments." New for 2013, the SWORD will be out on the road to battle against the clock. 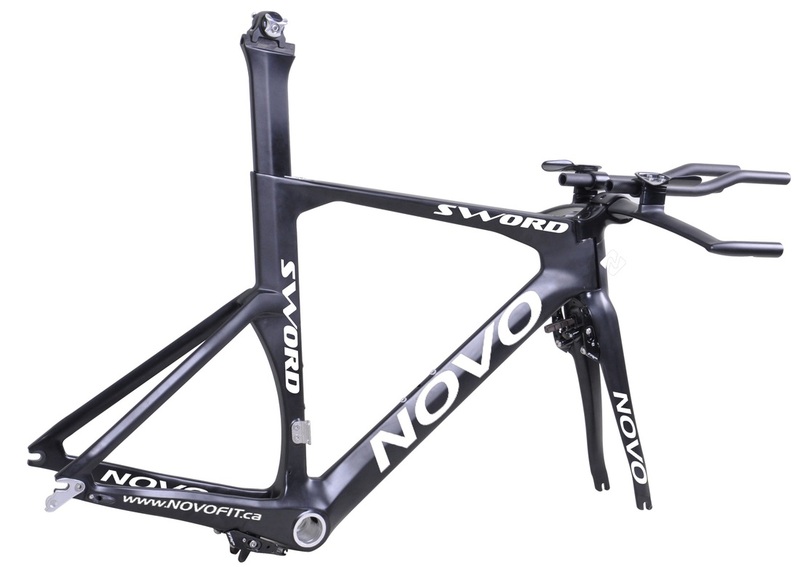 A beautifully crafted carbon fiber frame is hidden and mated to a uniquely designed fork/stem module in order to keep aerodynamic flow. TT extentions allow for fine tuning your position. Brake calipers are smartly concealed and aid in keeping a streamlined effect. The SWORD is designed to slice time off your personal best, help you dominate in the prologe, or hack away at your competitors as you catch them one at a time in your time trial competitions. The new age gladiator still demands to go into battle with a SWORD. The SWORD will be a special order item. 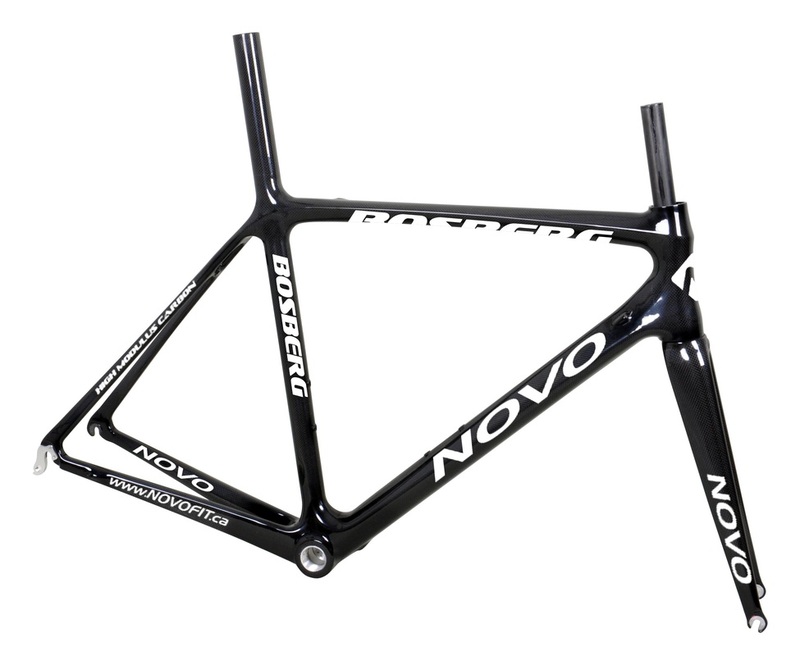 The Bosberg gets a new look for 2013. A new matte finish over a UD carbon fiber layup states its' obvious intentions, an all out no holds barred race for the finish line. The isp seat mast continues to look great and absorbe road vibration. Internal cable also add to the appearance as well as function. Unique tube dimmensions balance the need for comfort and strength in order to make a durable and yet light racing machine. 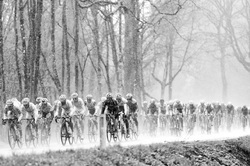 Be the Boss on a Bosberg in 2013. 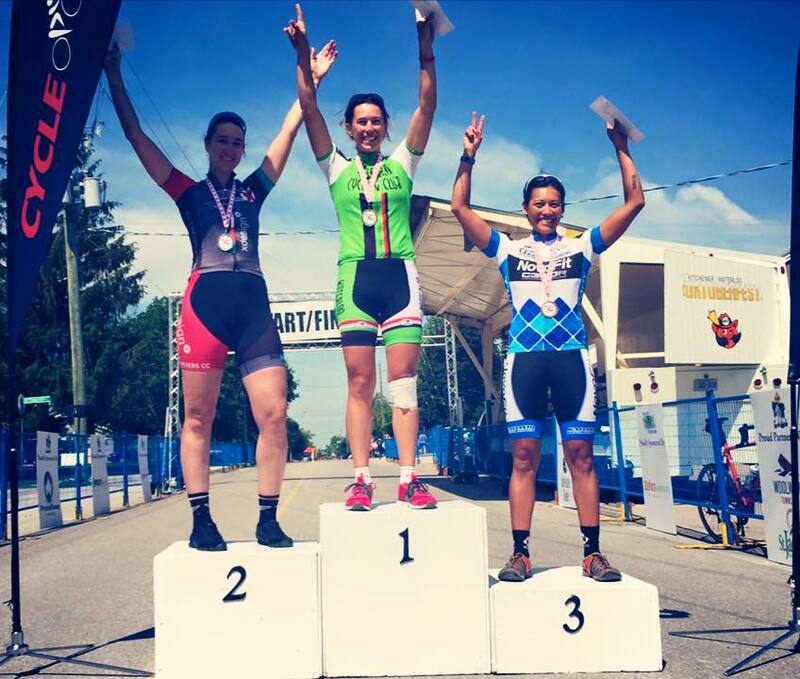 Sandra Deegan takes up Duathlons and Podiums on the top step on her first try in the team event! 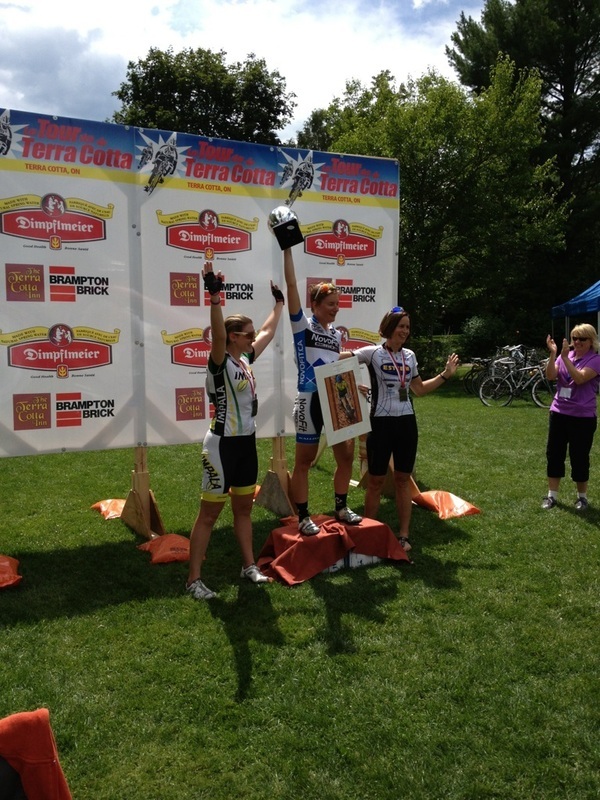 Sangra powered her way through the 40kTT and launched team mate Lori Simpson into her victory 10k run to victory. Way to go Sandra and Lori! 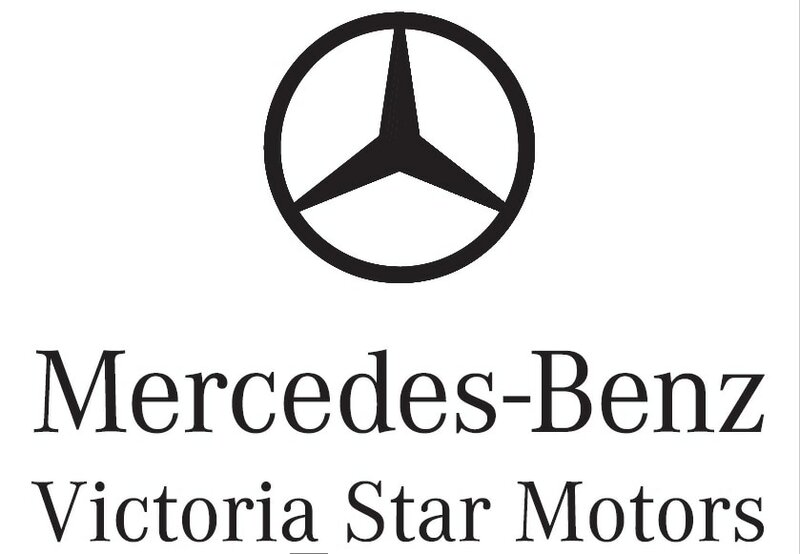 New helmet sponsor for 2013! 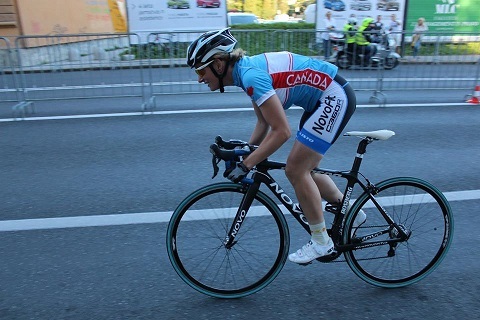 NovoFit is proud to announce that EKOI is now the official helmet sponsor of our racing squad for 2013. Spread the word. Great products and great prices! Just click on their logo to visit their site. 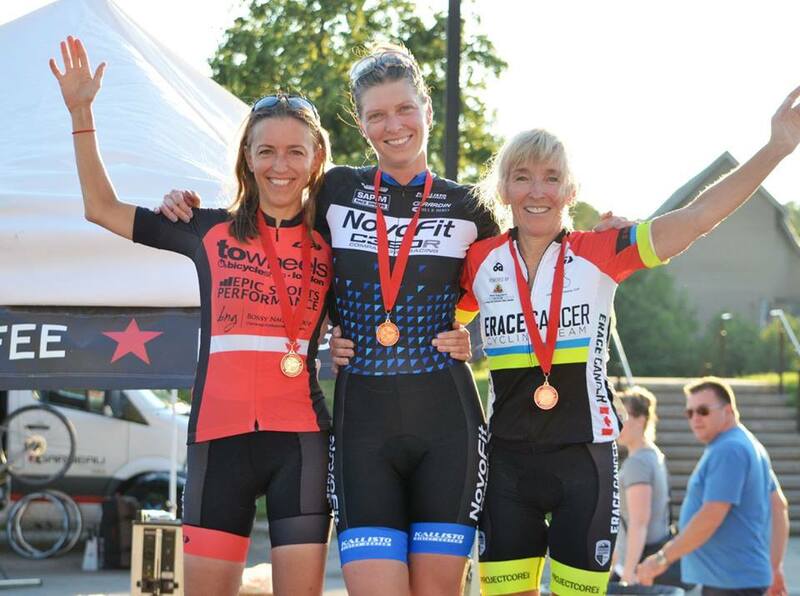 Shelly Mckee claims the top stem of the podium once again at the Provincial Time Trial Championships in Clarence Creek, Ottawa. 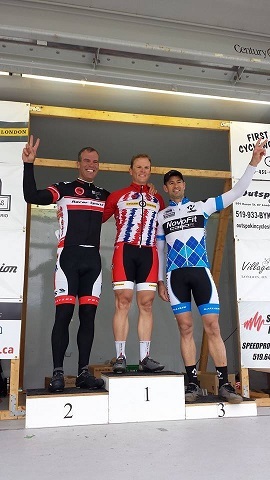 Nick Dwyer places a hard faught 3rd at the Provincial Criterium Championships in Windsor. 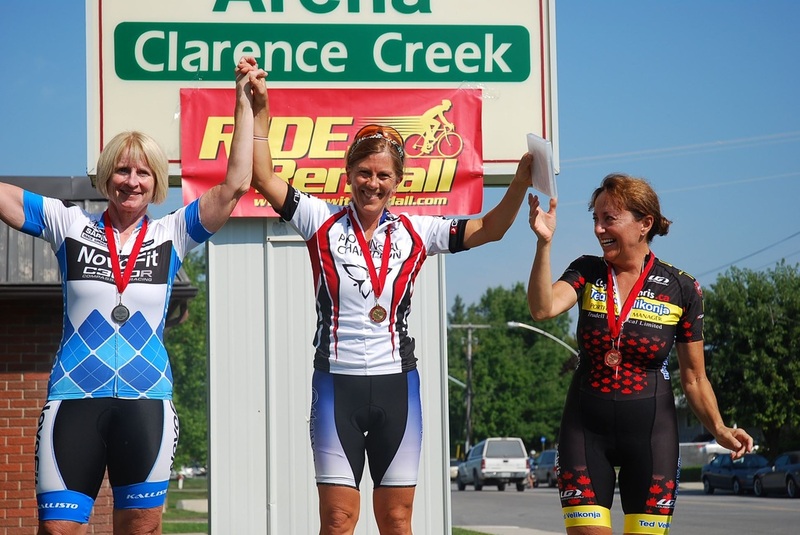 Jane Rinard podiums in the Master C category. Sandra decided to race out of her element and try out a time trial. 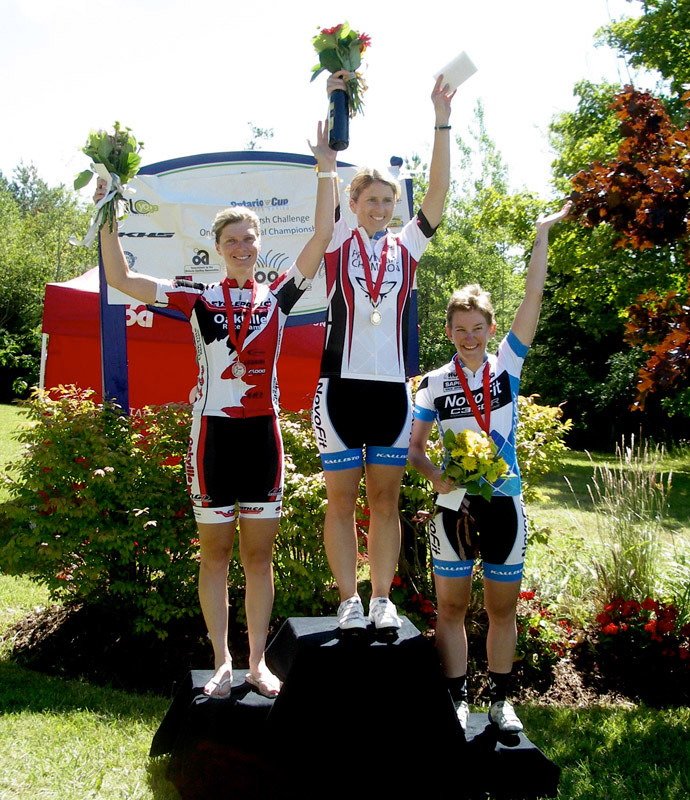 With the Bike the Bruce ITT being an O-cup, she decided to take a crash course on Time Trialing. 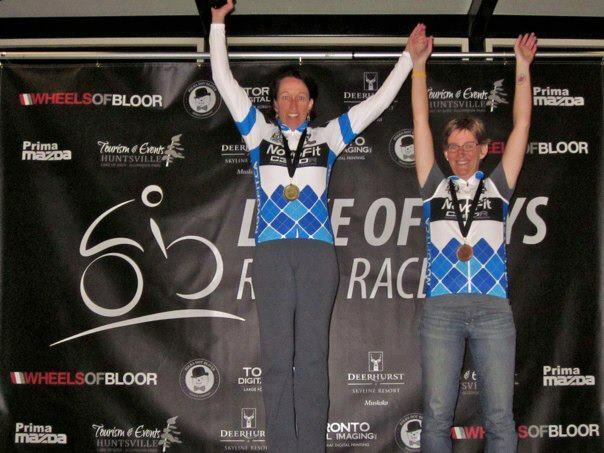 Sandra managed to podium a 2nd securing her position as Ontario Cup points winner for the year. 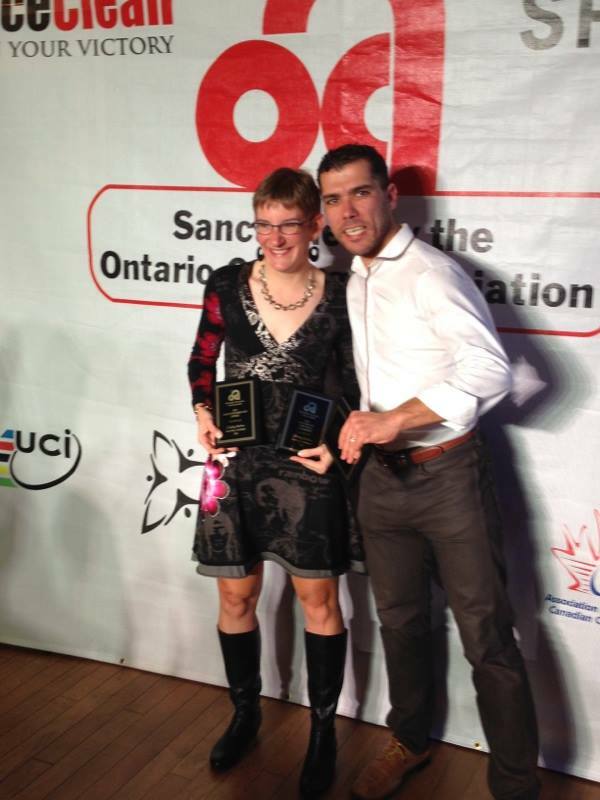 Congrats to Sandra for a stellar year! 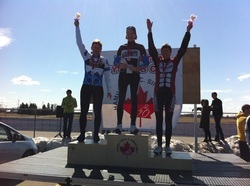 Shelly podiums at Provincials. 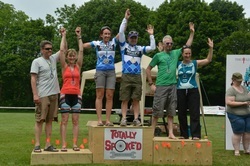 The weather and terrain played a real factor for the this years Provincial Championships held near Bradford Ontario. Rough broken up roads, long draggy false flats and a major pack killing climb weren't the only factors to contend with. High heat and humidity was offset by bouts of cold rain and thunderstorms! Add to the mix that all female athletes were lumped together for the young Juniors to Elites, Women's events would prove to be war. Shelly would battle for a hard fought 3rd. 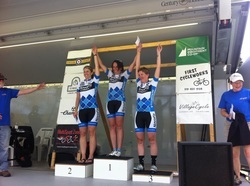 Shelly manages 3rd in the National Time Trial event. 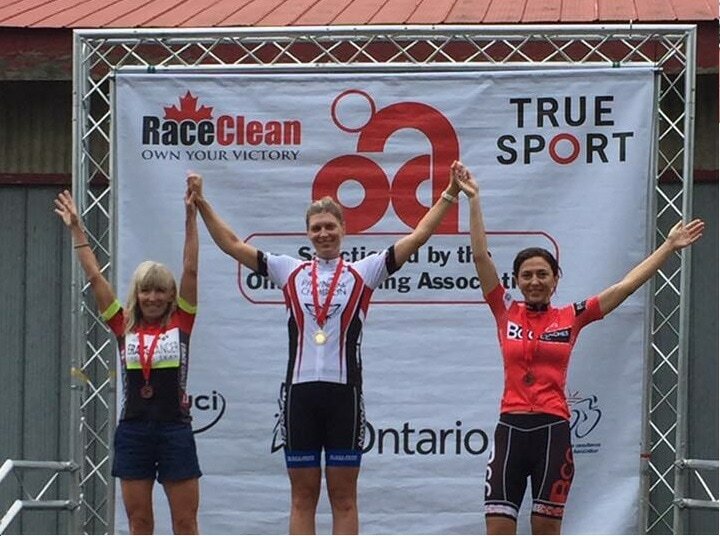 Sandra Deegan secures a bronze at the Niagara Classic. With high temps and humidex, the task was not easy. 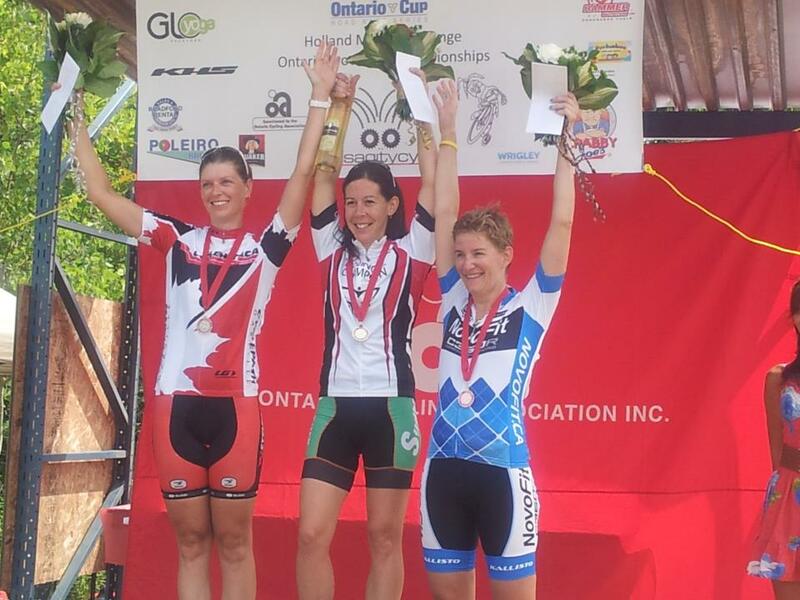 The result further solidifies her lead in Ontario Cup points with a 21 point lead. NovoFit will be beta testing and introducing a new hubset for 2013. 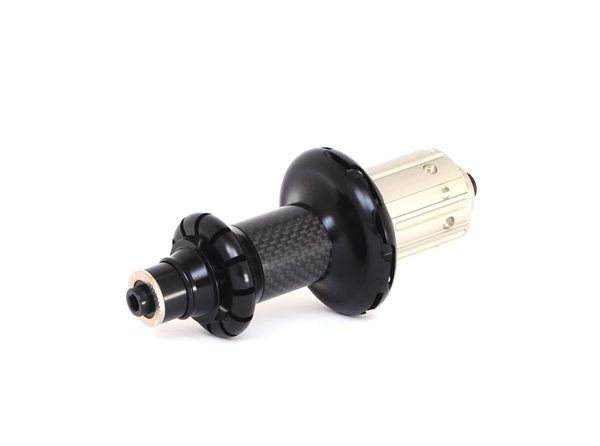 While we will still be working with the popular Novo SL hubset, the all new Novo SLC hubset will be a great upgrade option. 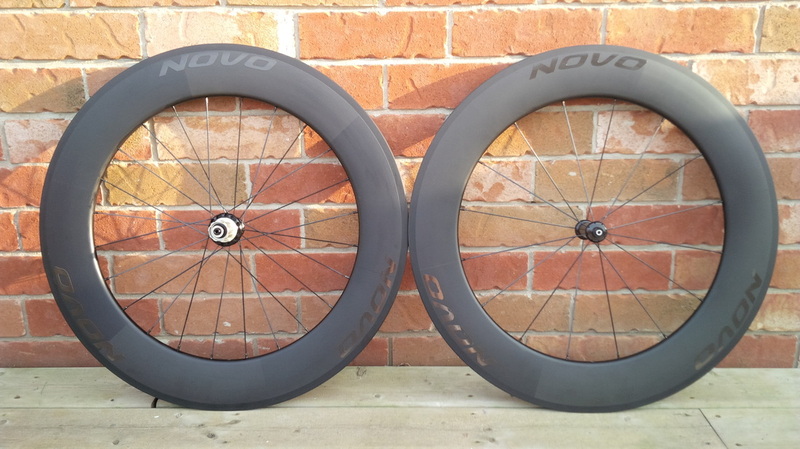 By adding carbon fiber and straight pull spokes, our Novo SLC wheelsets will get some major style points! Passed away peacefully at Cambridge Memorial Hospital on Saturday May 19, 2012 in his 75th year. Beloved husband of Eileen Trimble. Loving father of Jeremy (Caroline) of Cambridge, David (Melissa) of Hawkstone. Loving grandfather of Emma and Molly. Also survived by his brothers Edward (Sybil), Barney (Robin) and Frank (Margaret). John was born in England on May 6, 1938 and has lived in Cambridge since 1957. The family will receive friends at Coutts Funeral Home 96 St. Andrews St. Cambridge on Wednesday May 23, 2012 from 2-4 and 7-9 P. M. Mass of Christian Burial will be held at St. Gregory's R. C. Church , 10 St. Gregory's Dr. Cambridge on Thursday May 24, 2012 at 11 A. M. Cremation to follow. As expressions of sympathy donations to Cambridge Memorial Hospital Foundation would be appreciated by the family. 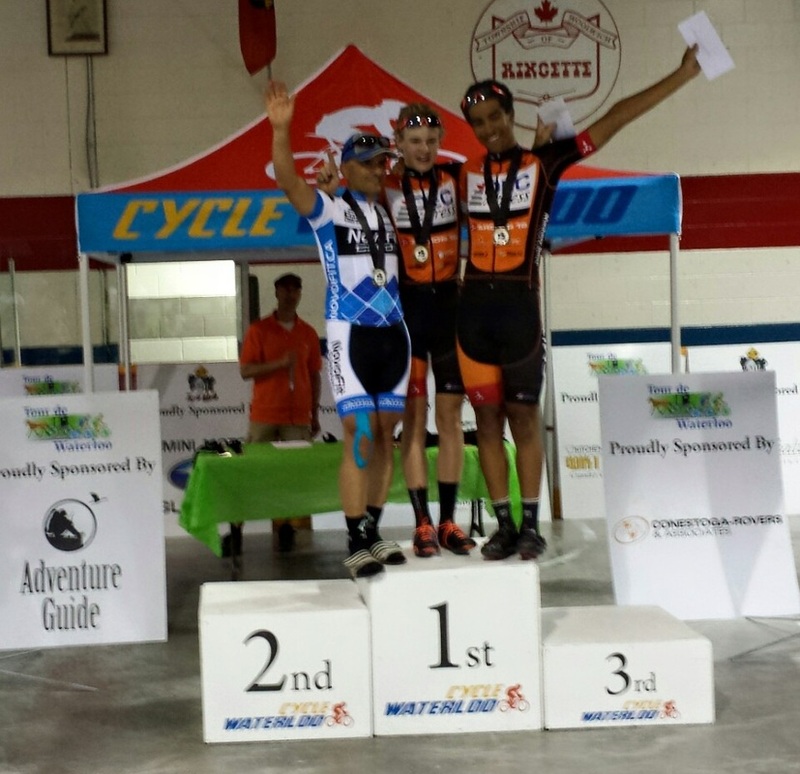 JJ Woodley podiums for 3rd at Springbank. 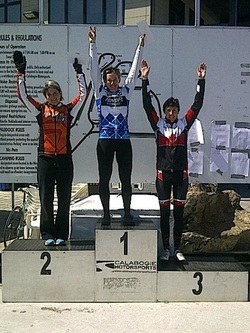 Angela Lin gets 3rd at the Tour of Bronte. 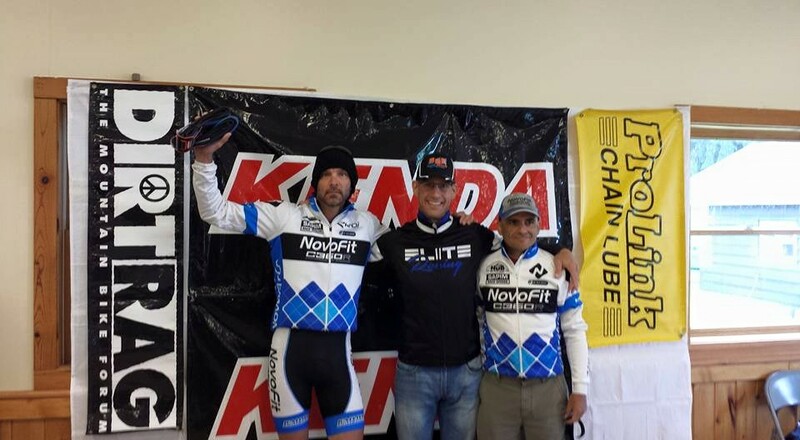 Jesus Giovanni Correa wins the 19+ dirt dash MTB event the day before. Sandra Deegan gets gold again. 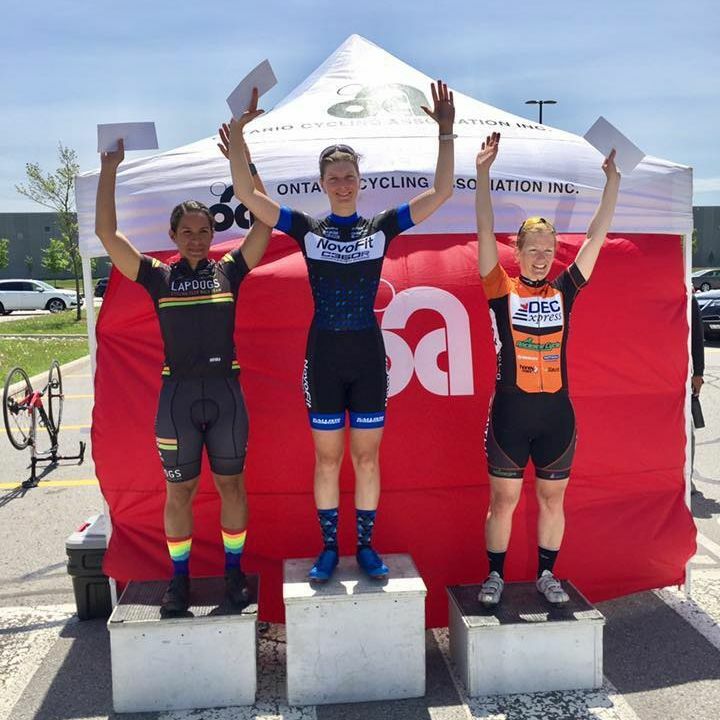 With her 2nd win of the year, Sandra surges forward in Ontario Cup points and is now a real threat for the title. 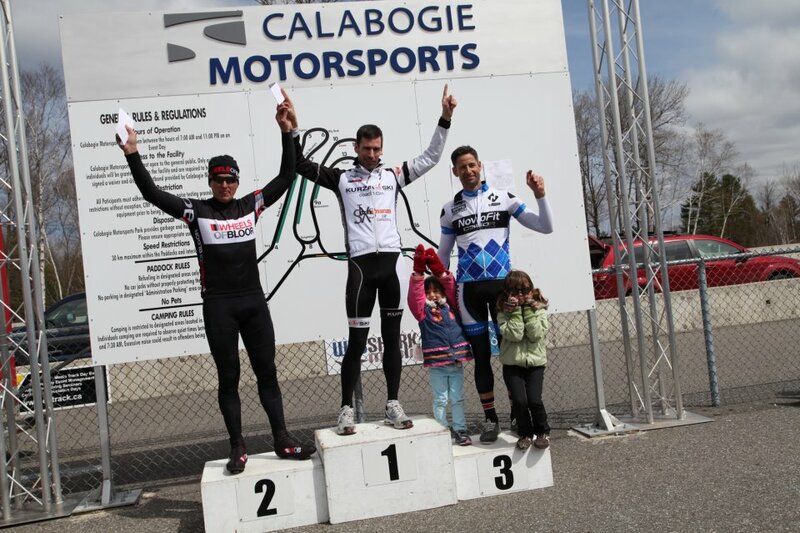 Success again at Calabogie! JJ Woodley steps onto the podium for the first time this year. He now knows he has what it takes to get to the top step. 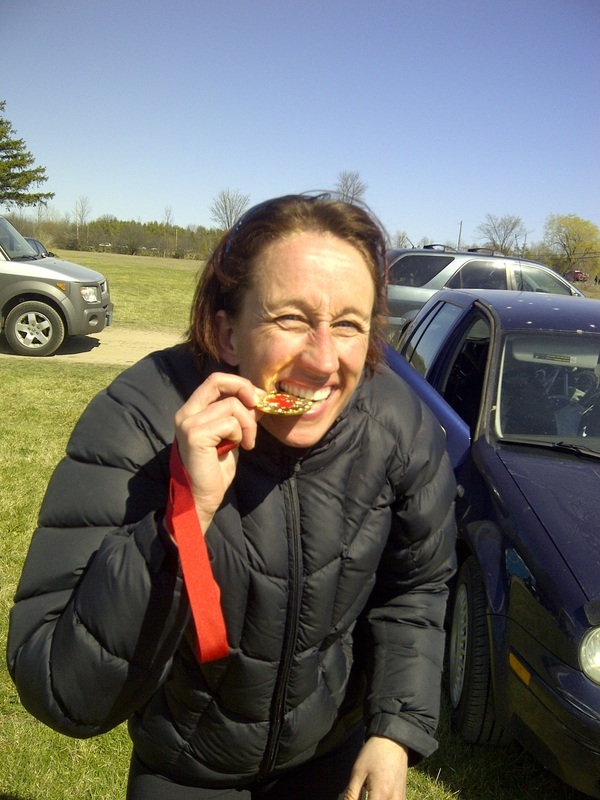 Sandra Deegan tastes Gold! She wins the squad's first gold and second podium of the year. 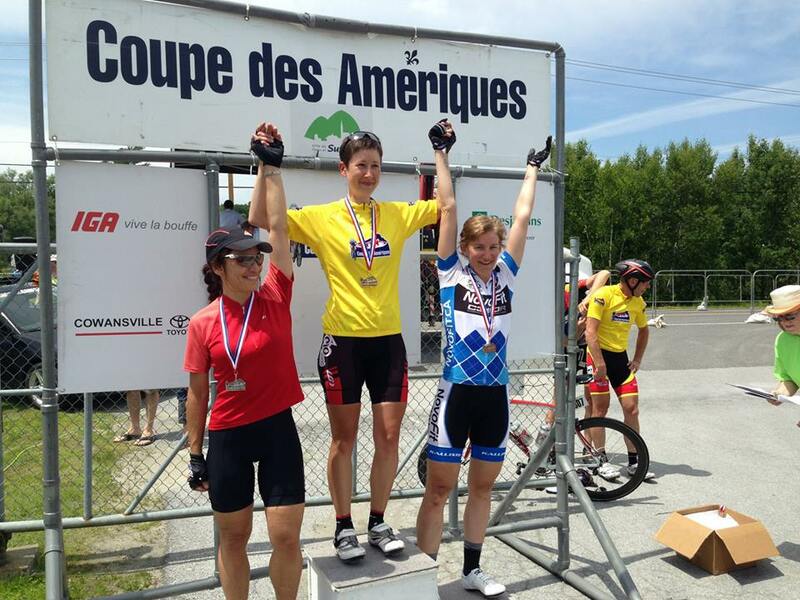 Team mate Angela Lin is stalled by a crash but manages to still come in with a 4th place. On the men's side, JJ Woodley manages to get a 4th and now developes a taste for the podium himself. in Georgia USA pays off with a bronze! 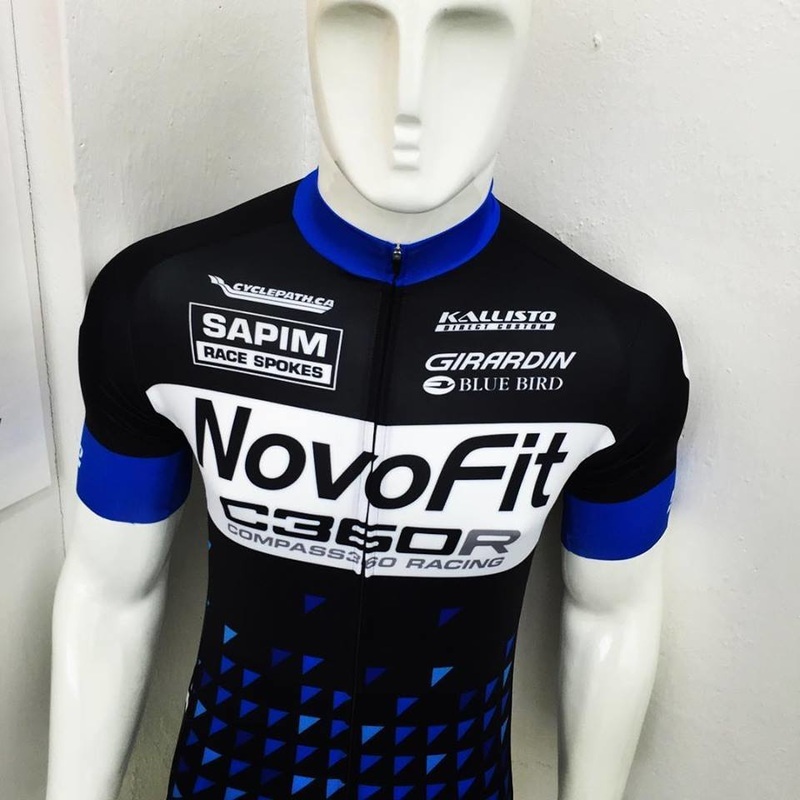 NovoFit is proud and excited to present the New 2012 NovoFit/Compass 360 Racing Team which will be racing across Ontario in the approaching season! With a brand new “look” and a lot of enthusiasm, the team is excited to hit the tarmac at the Good Friday Road Race in April. Watch out for the blue and white argyle attacks! They are guaranteed! 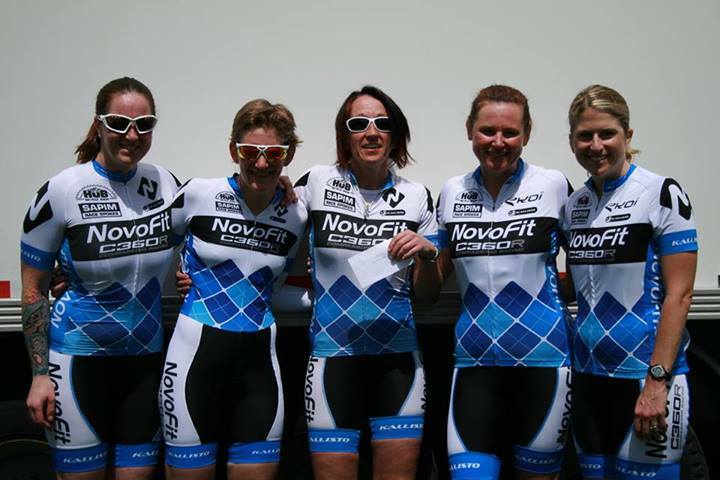 Last year, NovoFit enjoyed its inaugural year with an M1 squad on the road, as well as a few S2 and S3 racers. 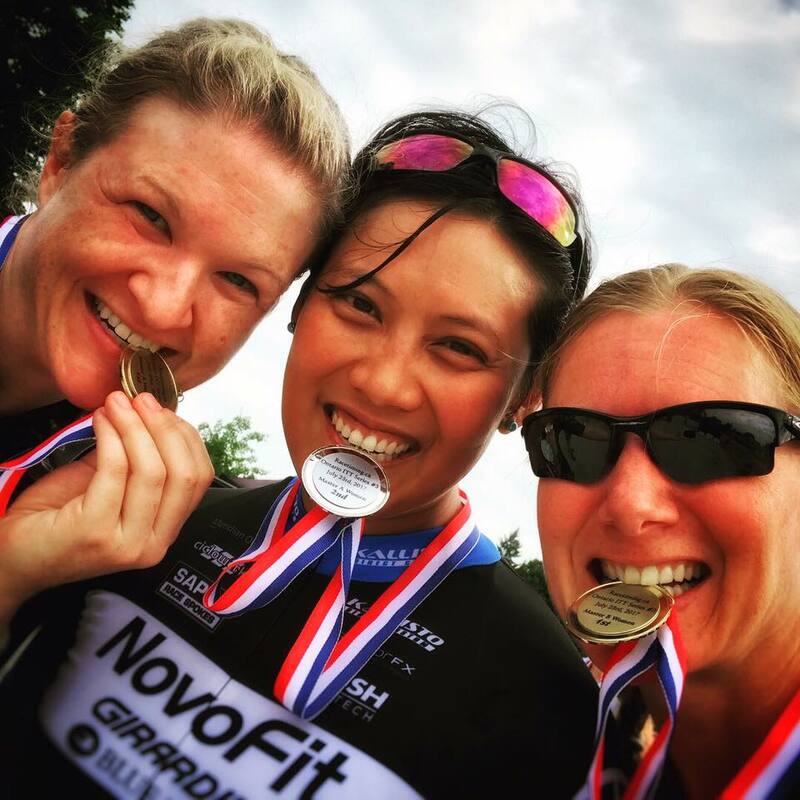 This year the NovoFit team has stepped it up a notch by having an M1, M2, M3 and Women’s Squad. 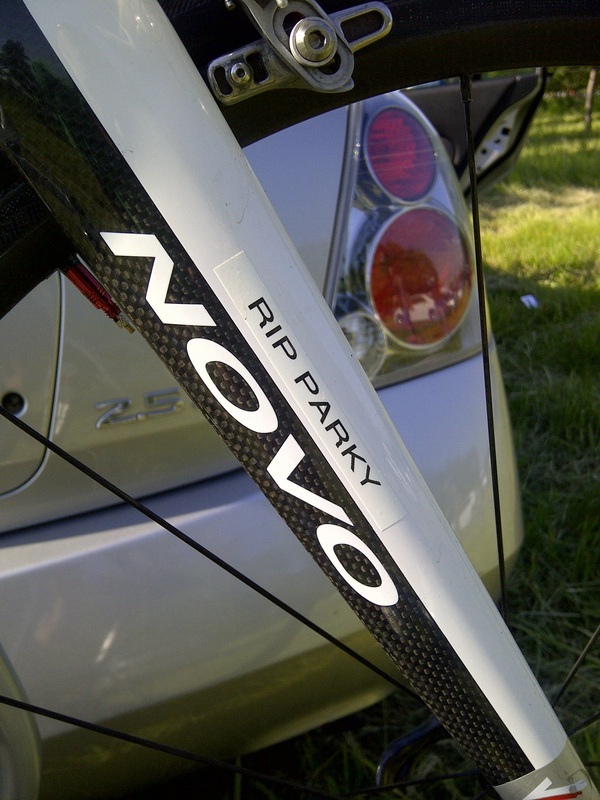 Mike Novo has been racing bikes for a LONG time. 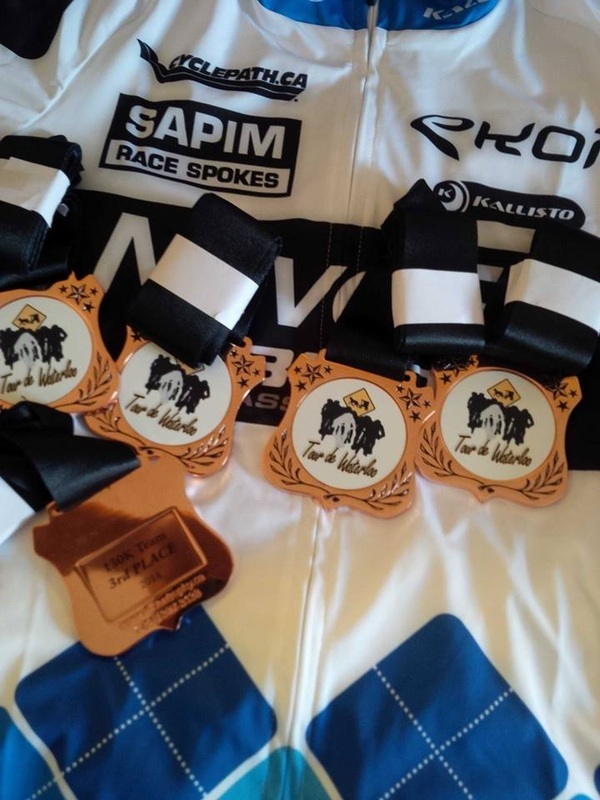 His passion extends through the creation of the NovoFit team as well as, more recently, starting his own line of racing bikes and wheelsets under the NOVO label. 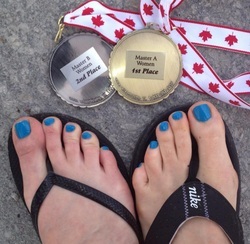 Check out the NovoFit.ca website for details. 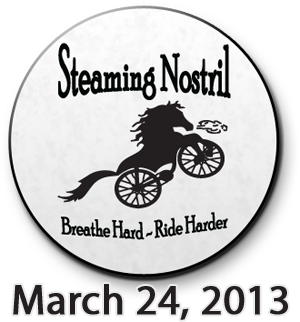 We look forward to seeing our fellow Ontario racers on the start line and pushing one another to our limits! 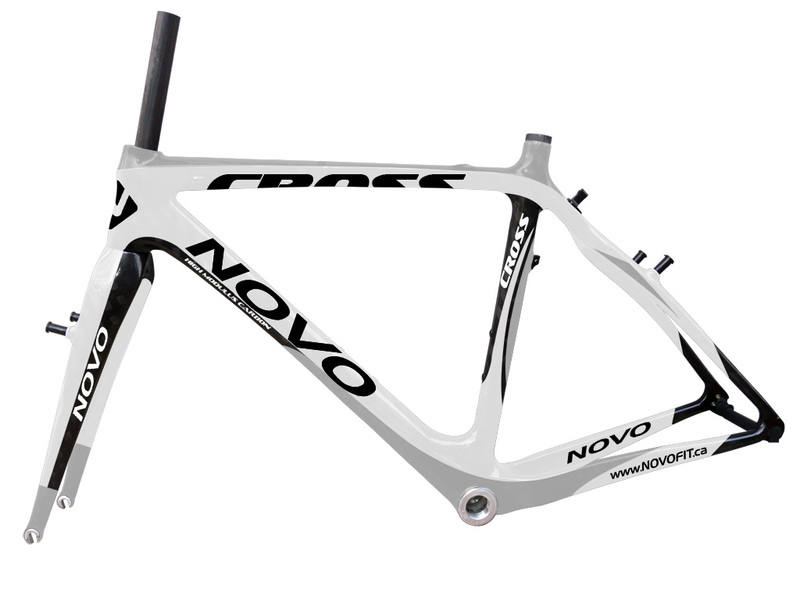 Introducing the NovoFit/Compass 360 Racing Squads for 2012! 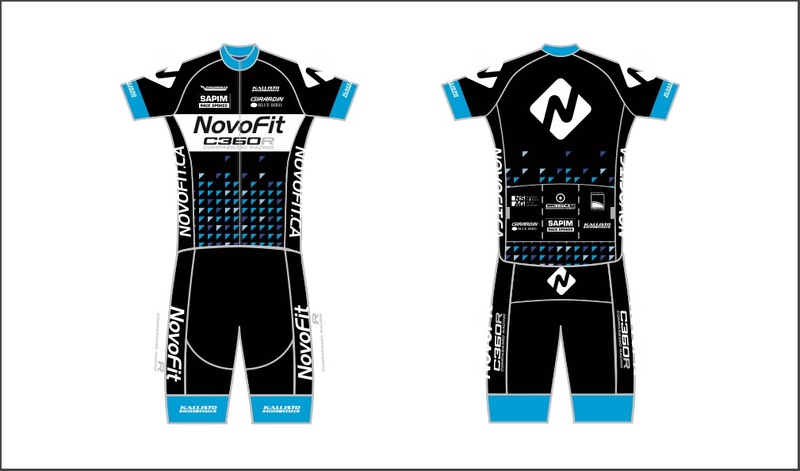 The NovoFit Team kit is almost done and off to completion. 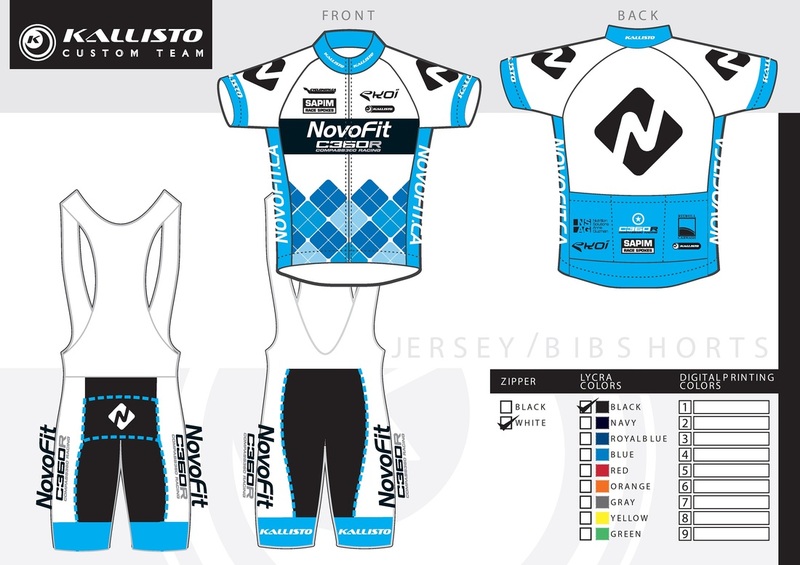 We will be doing a beta for a new Line of Kallisto Sport Clothing for 2011. The new premium SpeedTech Pro jersey will sport a new lycra front panel design in order to further add a more fitted and aero sillouete to the rider. 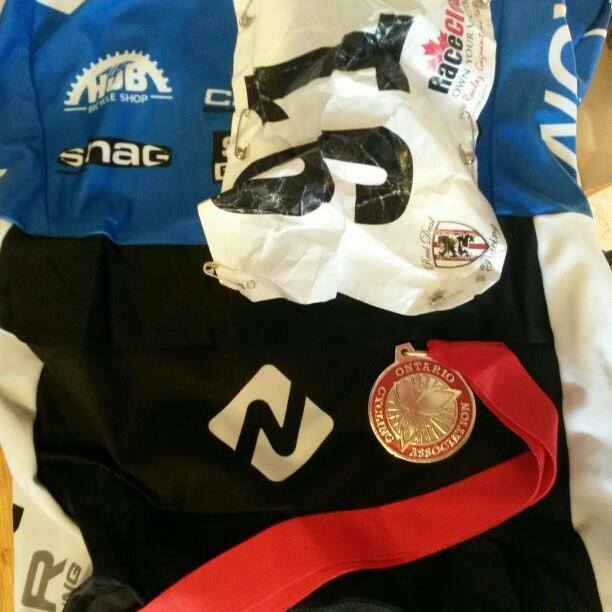 The new premium PowerBand Pro bibs have also been re-engineered. Flat lock stitching, a doubled lycra compresion band, premium synthetic chamois and a new template all add up to ensure comfort and functionality while spending hours in the saddle. Expect to see the new livery haunting local training routes shortly! The NovoFit squad has grown! 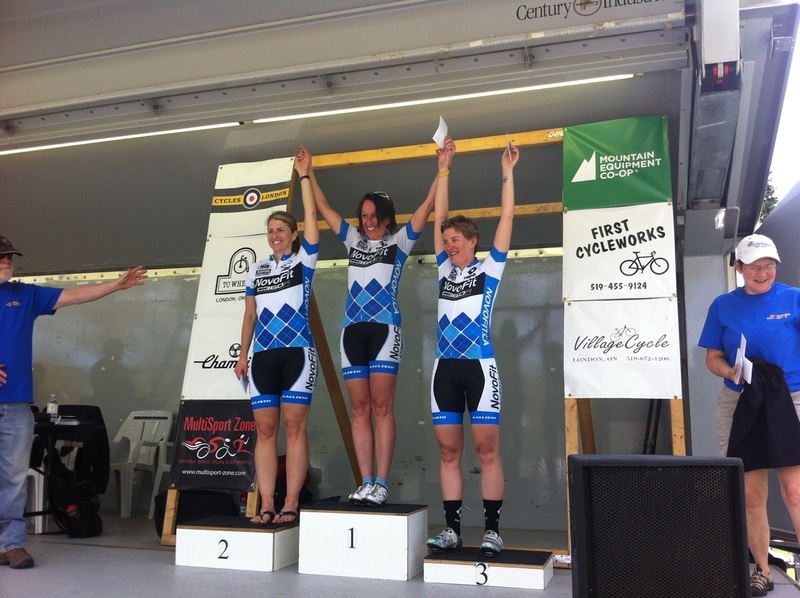 We have expanded the squad into the M1, M2 and a full women's racing field. Stay tuned for the official roster to be released in Mid February. 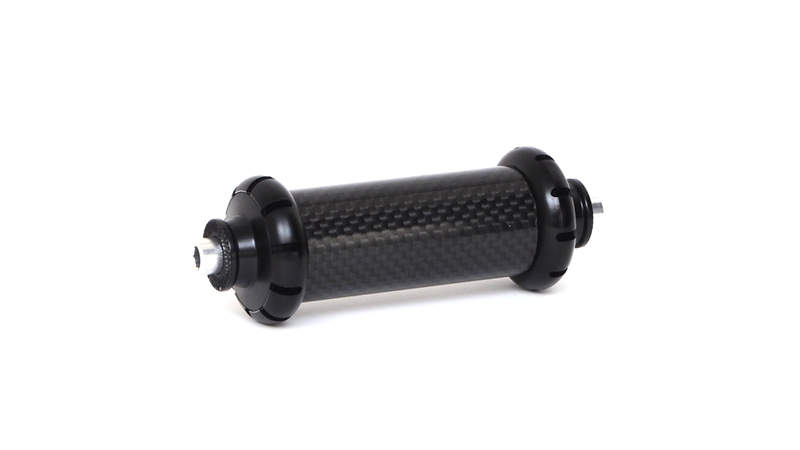 Do you have a POWERTAP hub that you wish to build a Novo carbon rim on for Racing, Time Trialing or just plain Bling? Contact NovoFit for details via the "Contact Info" tab now! 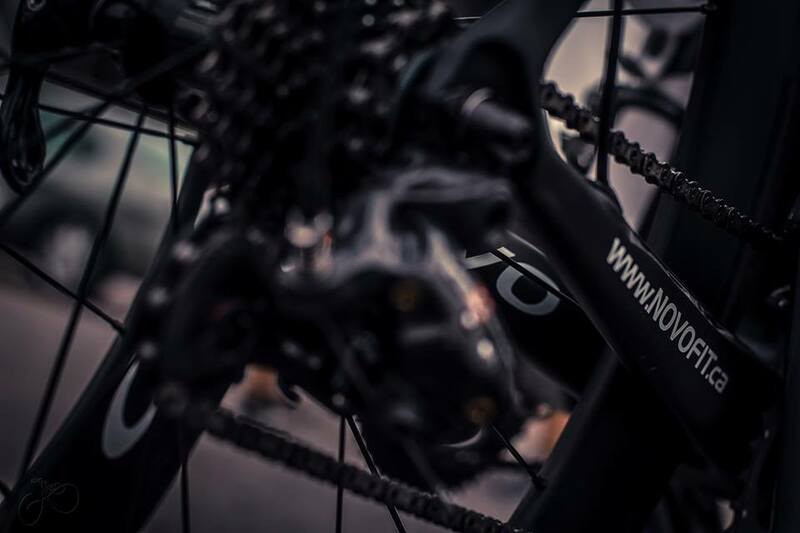 We are currently working on setting up accounts with SRAM, Shimano and Campagnolo. Stay tuned or Contact NovoFit via the "Contact Info" tab for details. Click on the FRAMES tab to learn more. 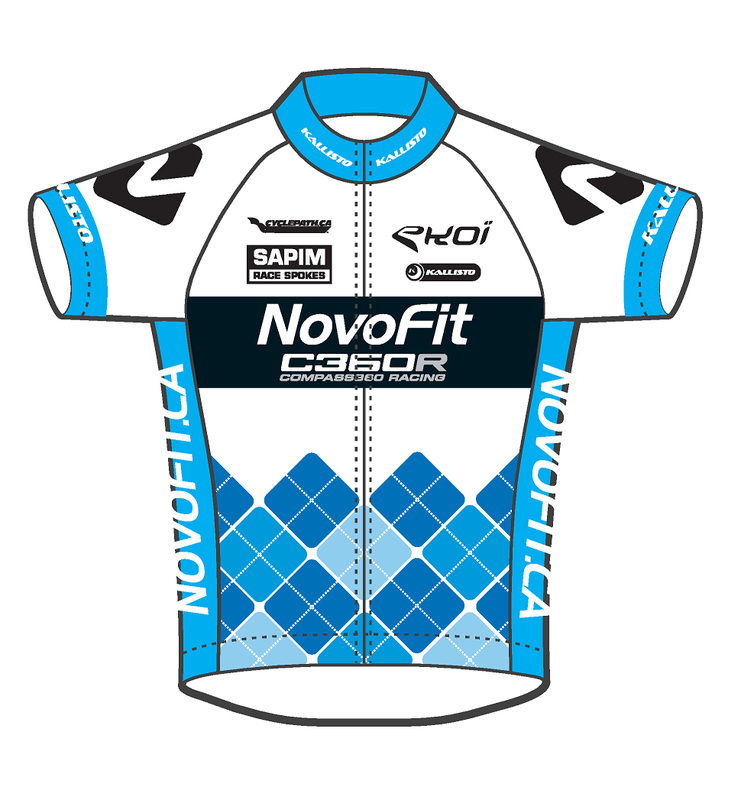 Copyright 2011 NovoFit Cycling Solutions.